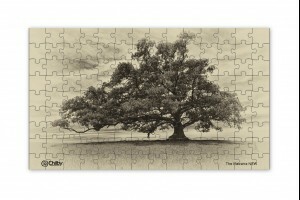 TEMPORARY UNAVAILABLE Description: This puzzle is a 126 piece traditional cardboard rectangle puz.. 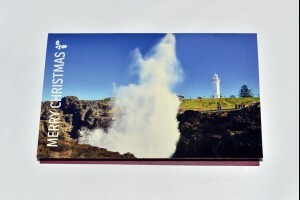 TEMPORARY UNAVAILABLE Description: This high quality photo slate stone comes with a stand to disp.. 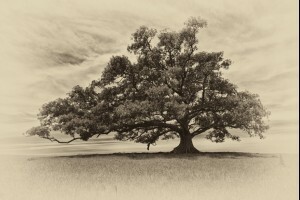 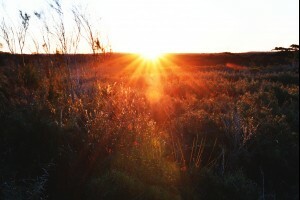 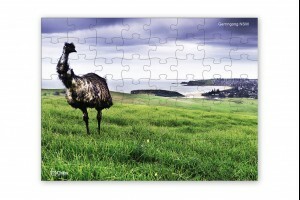 Product: Select from a Small 8x12 Inch Fridge Art Magnet or a Large 12x18 Inch Fridge Art Magnet .. 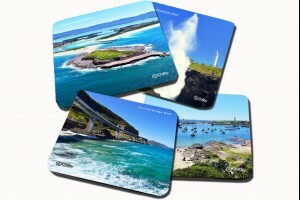 TEMPORARY UNAVAILABLE Description: This set of 4 Illawarra hardboard coasters comes with 4 photos.. 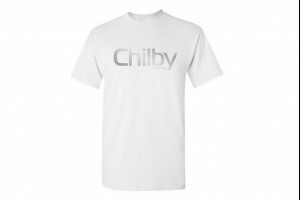 Product: Chilby Clothing T-Shirt - White Description: This T-Shirt is a high quality Australian m.. 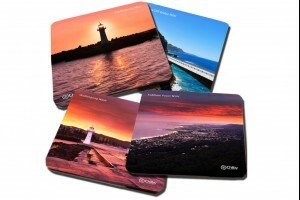 Description: This Mouse Pad has a photo of the old lighthouse at Wollongong taken at sunrise. 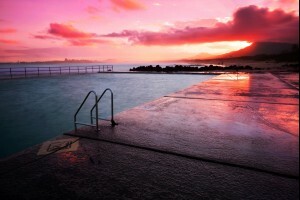 The di.. 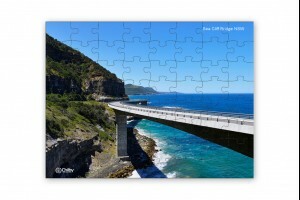 TEMPORARY UNAVAILABLE Description: This metal Keyring has one a photo of Sea Cliff Bridge in the .. 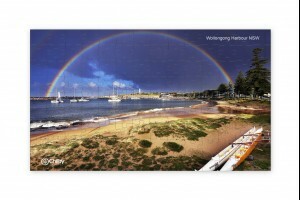 Description: This is an 11oz white ceramic coffee mug with a photo of Wollongong Habour Australia. 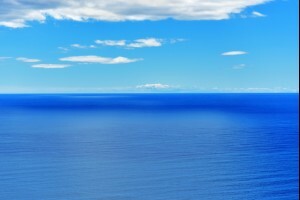 (.. 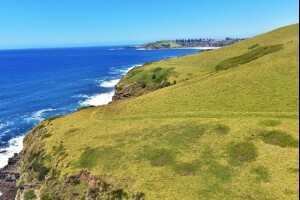 Description: This is an 11oz white ceramic coffee mug with a photo of Gerringong Australia in the Ki.. 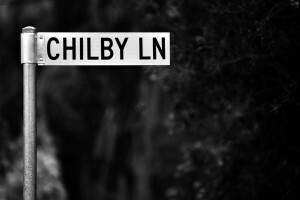 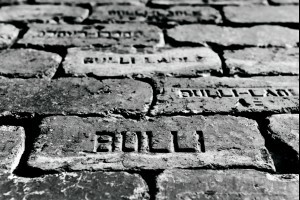 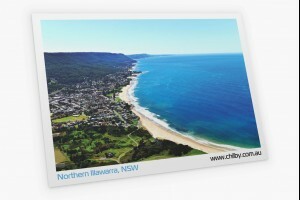 Currently Out of Stock - To Order please contract brad@chilby.com.au Description: This quality Ch.. 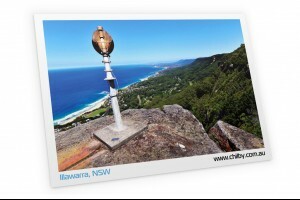 Description: This is an 11oz white ceramic coffee mug with a photo of Sublime Point Lookout. 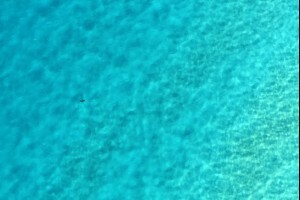 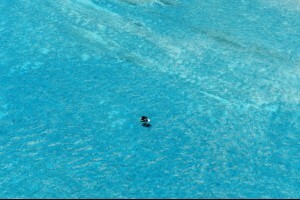 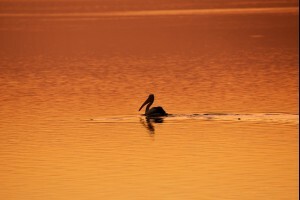 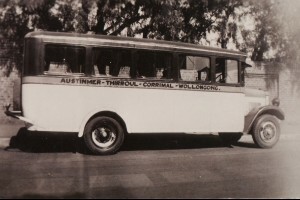 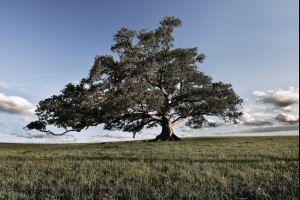 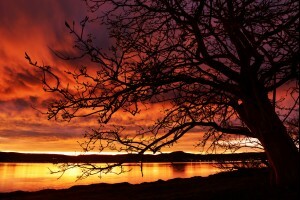 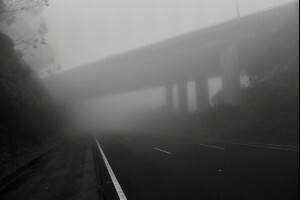 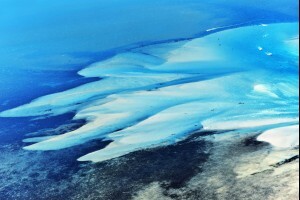 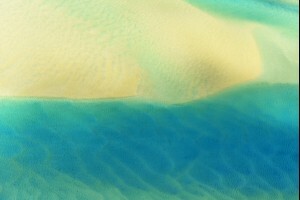 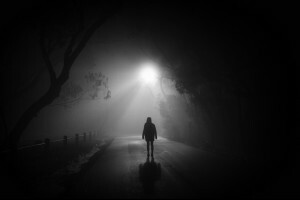 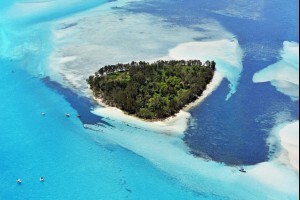 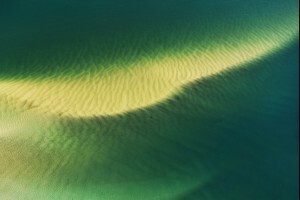 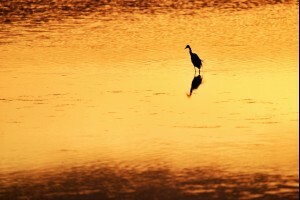 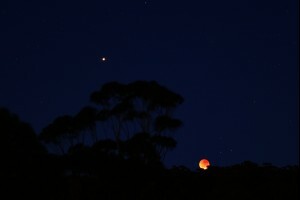 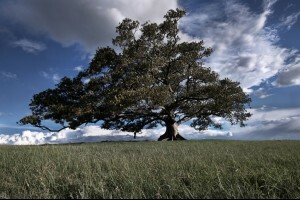 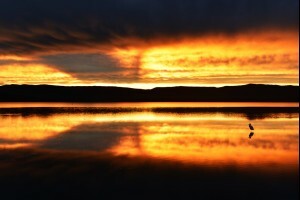 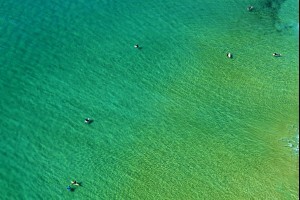 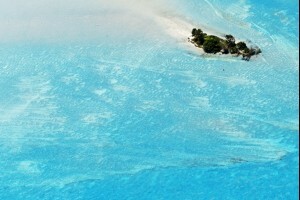 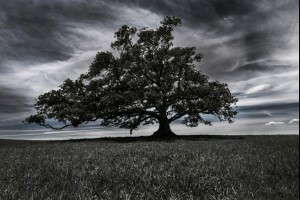 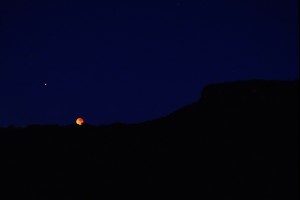 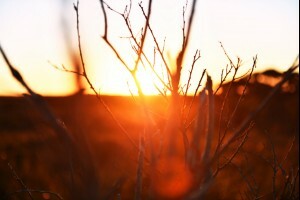 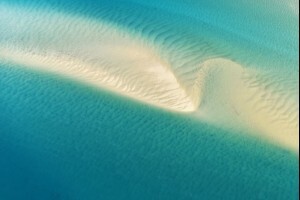 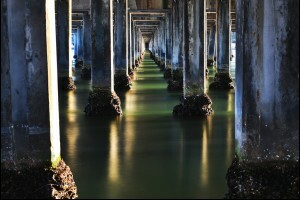 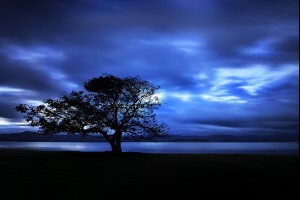 (Photo .. 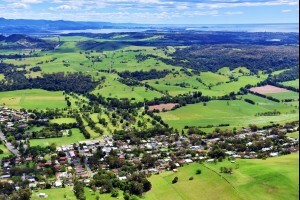 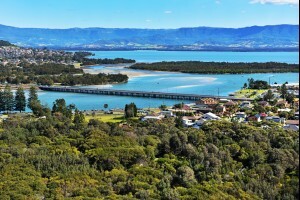 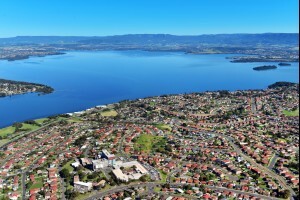 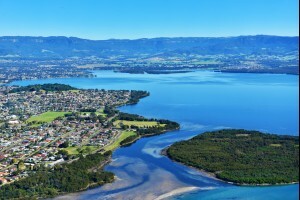 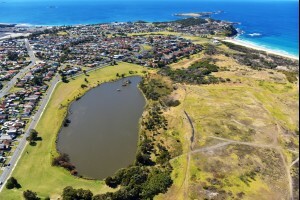 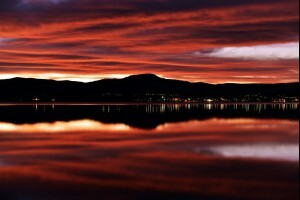 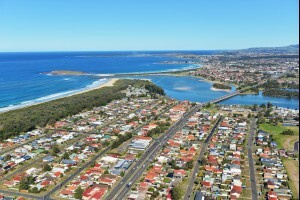 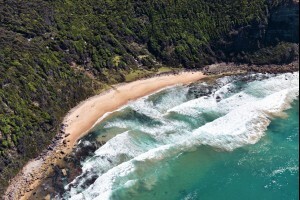 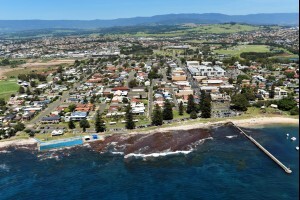 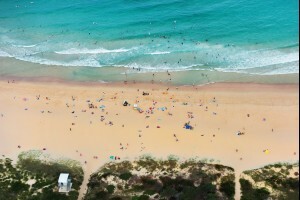 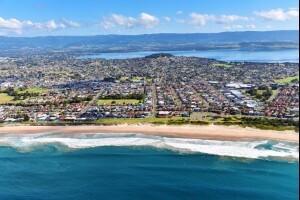 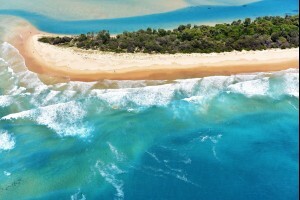 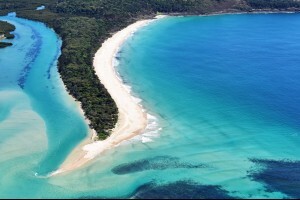 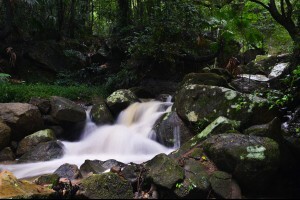 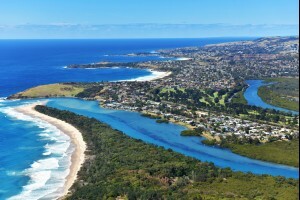 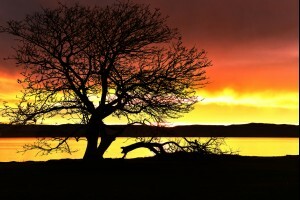 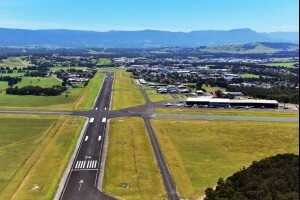 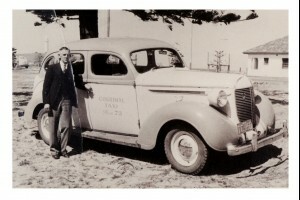 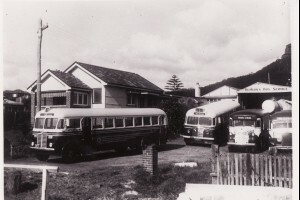 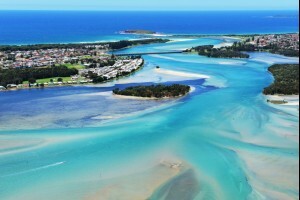 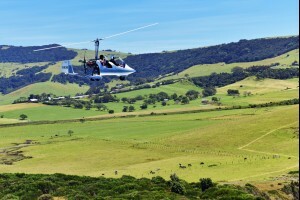 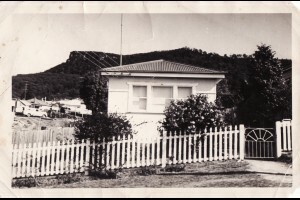 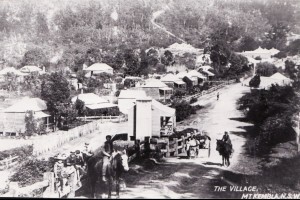 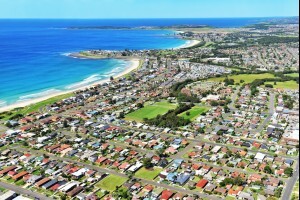 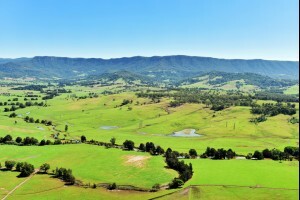 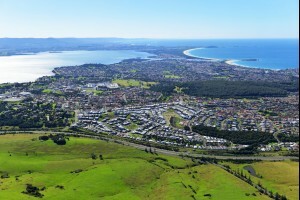 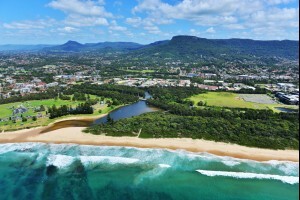 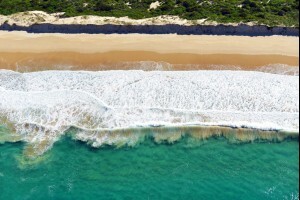 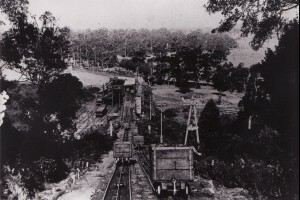 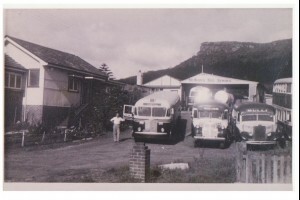 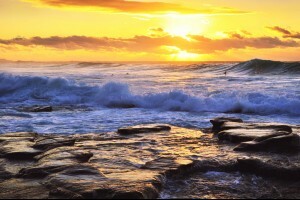 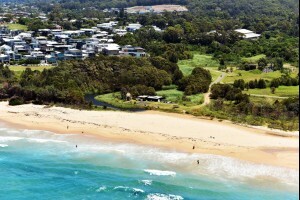 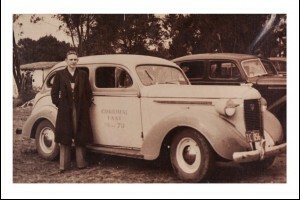 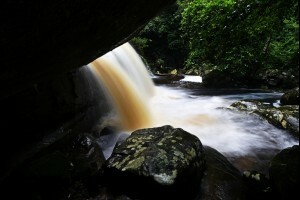 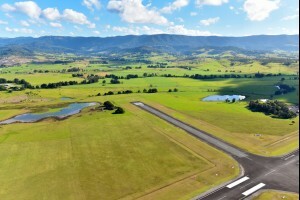 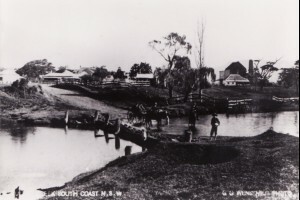 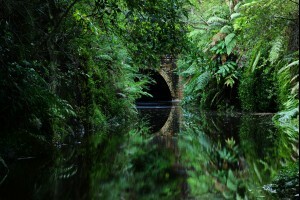 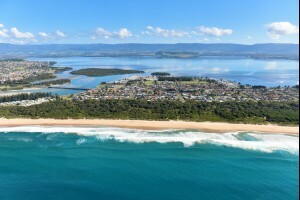 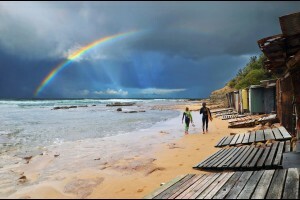 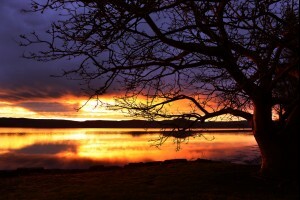 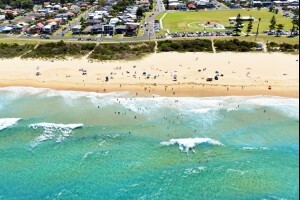 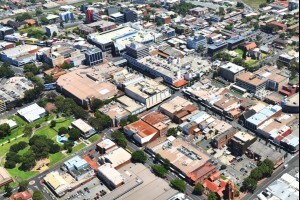 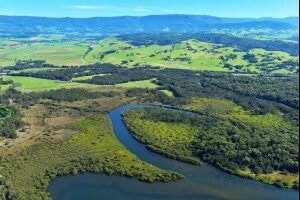 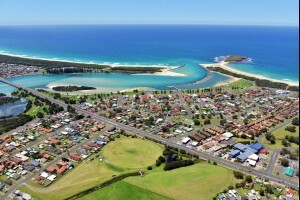 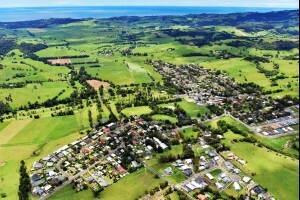 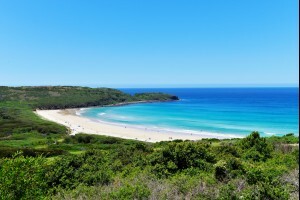 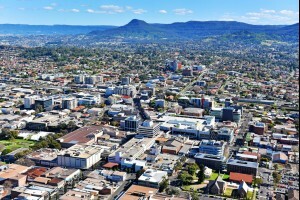 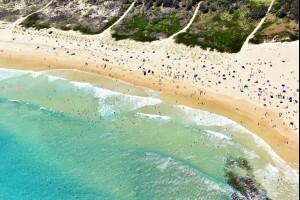 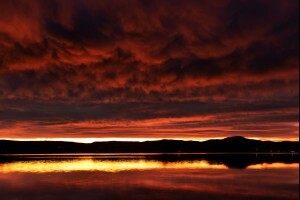 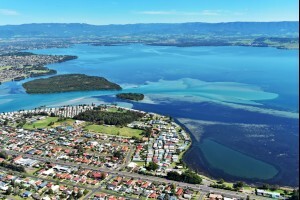 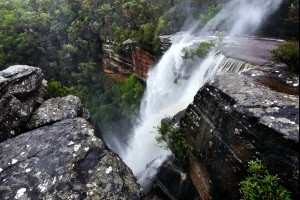 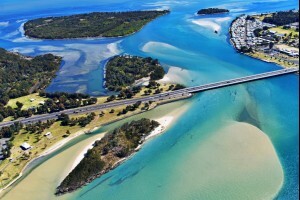 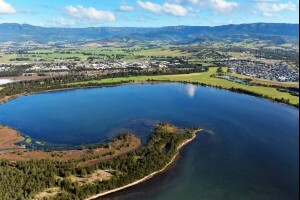 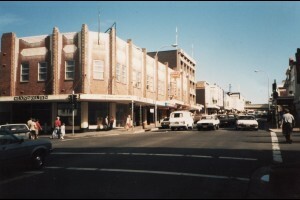 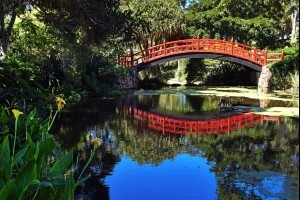 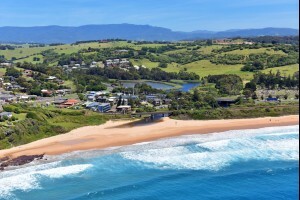 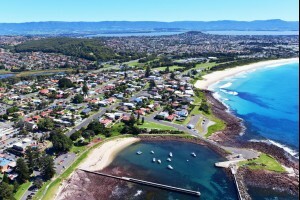 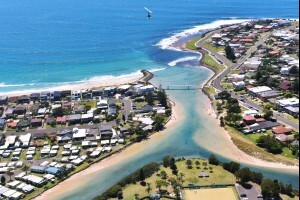 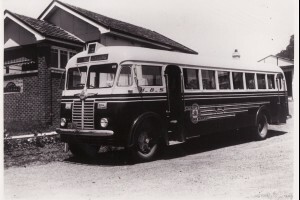 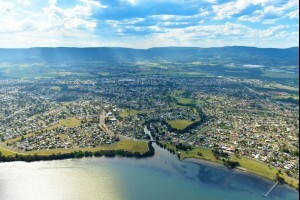 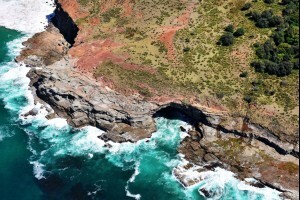 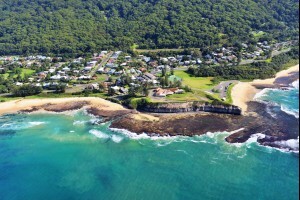 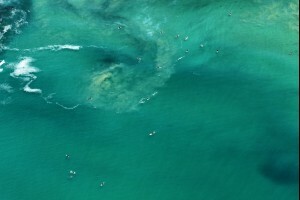 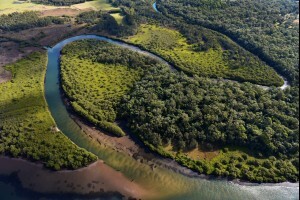 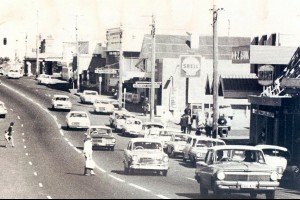 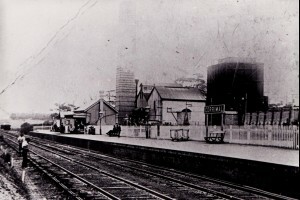 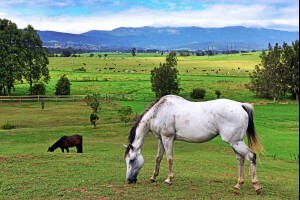 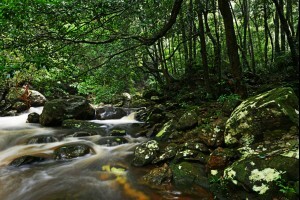 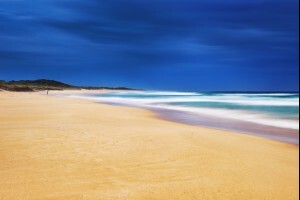 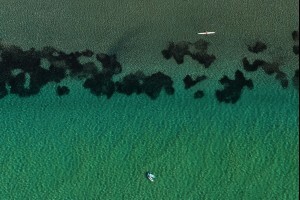 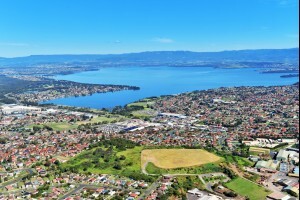 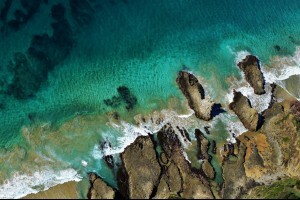 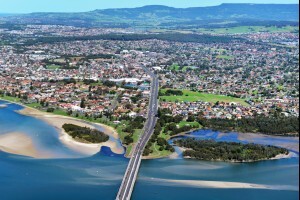 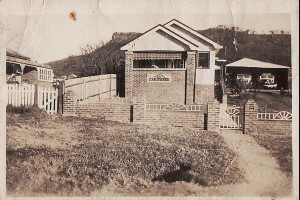 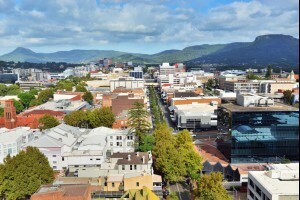 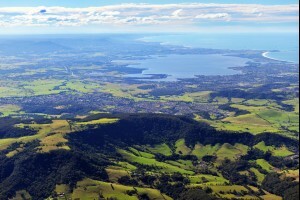 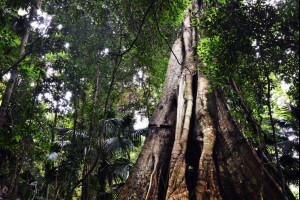 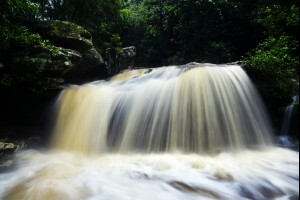 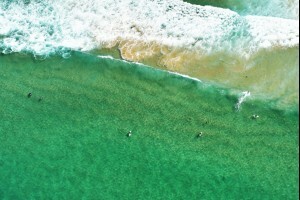 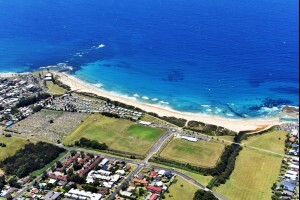 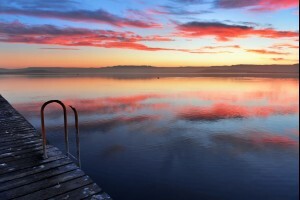 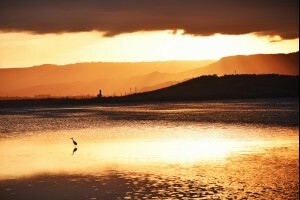 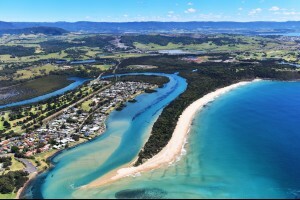 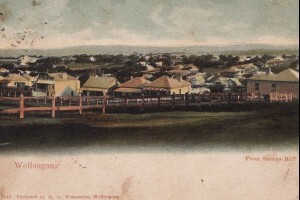 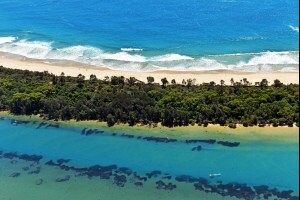 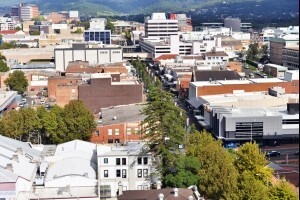 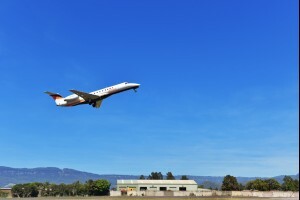 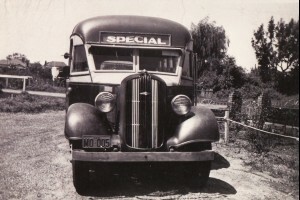 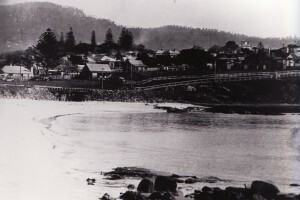 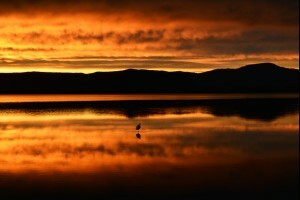 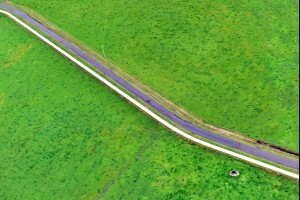 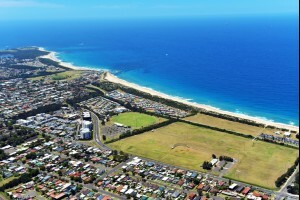 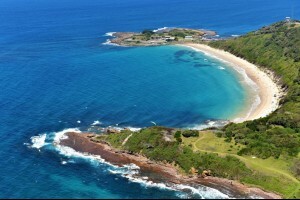 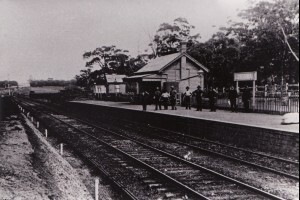 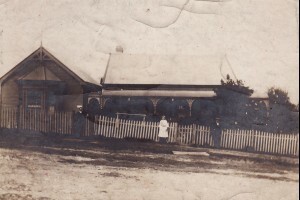 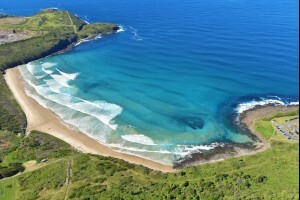 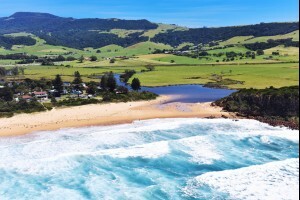 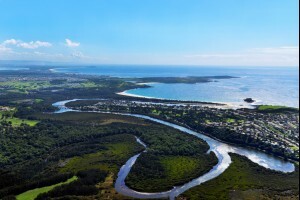 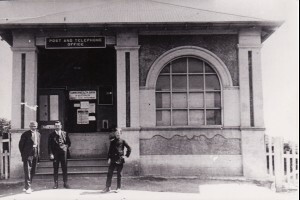 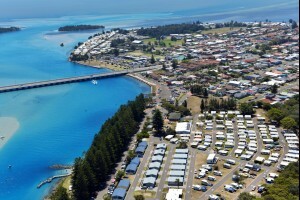 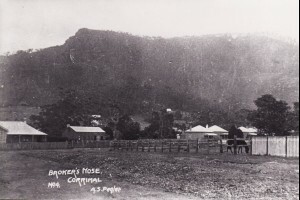 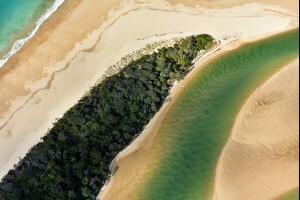 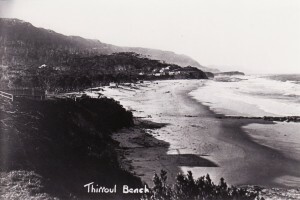 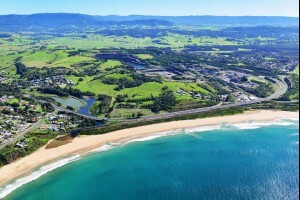 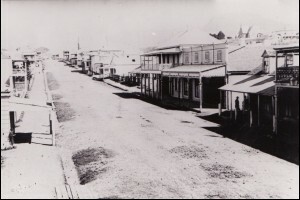 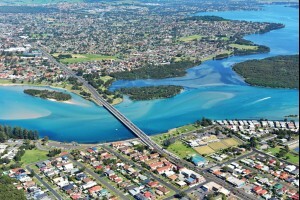 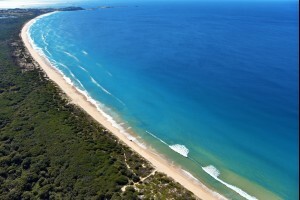 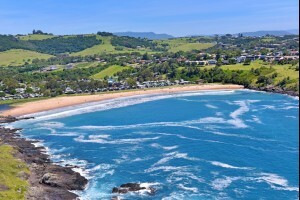 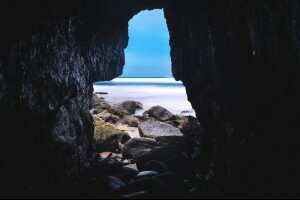 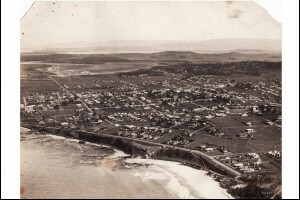 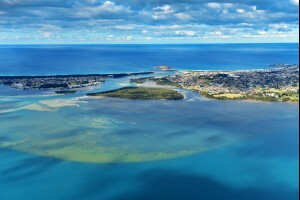 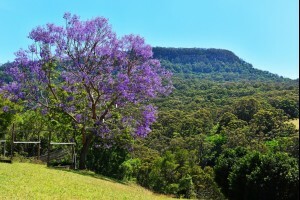 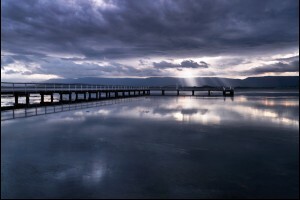 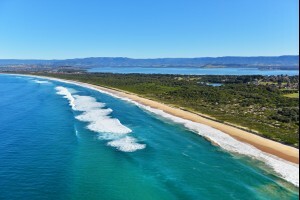 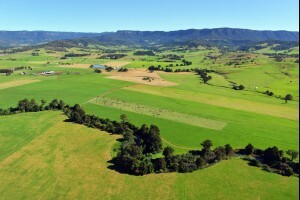 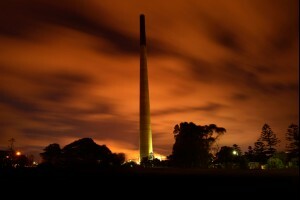 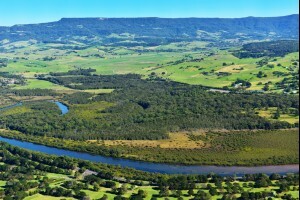 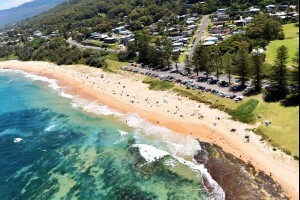 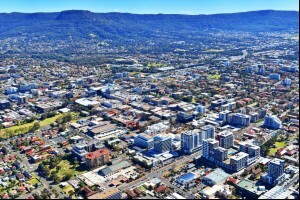 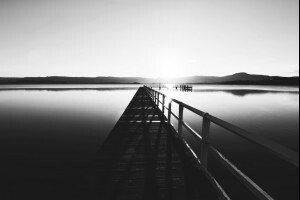 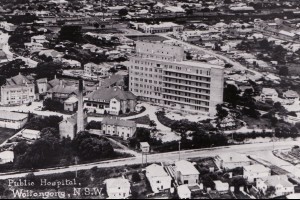 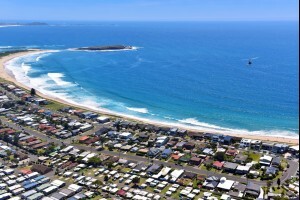 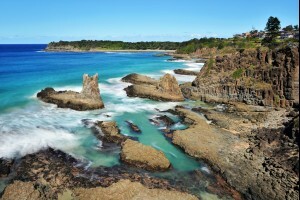 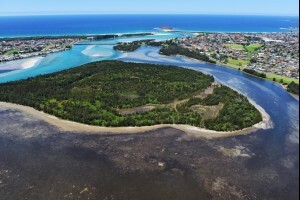 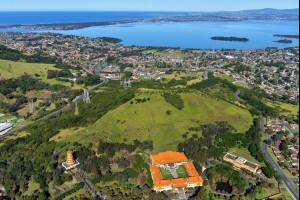 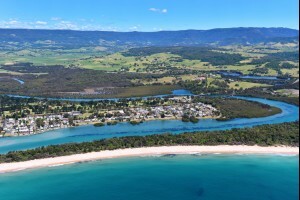 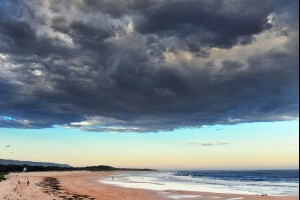 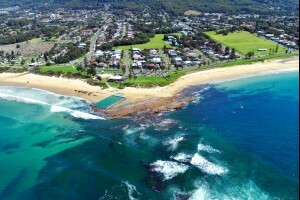 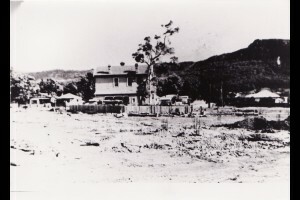 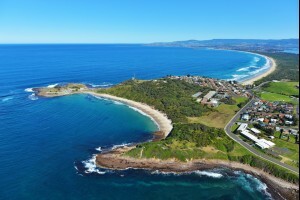 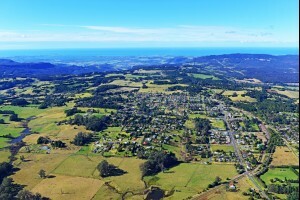 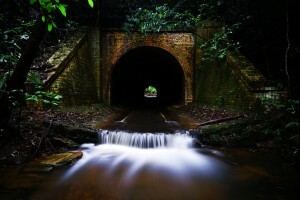 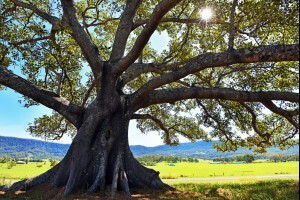 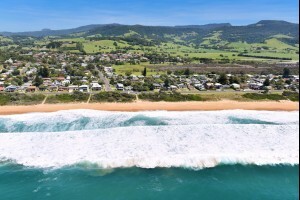 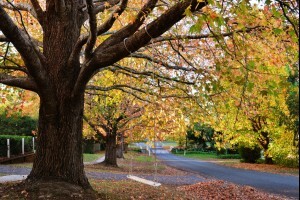 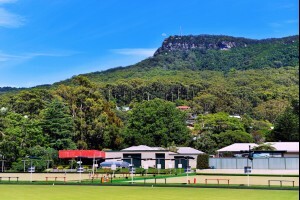 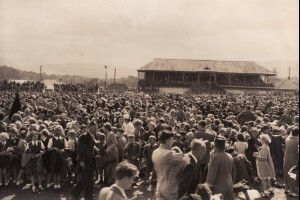 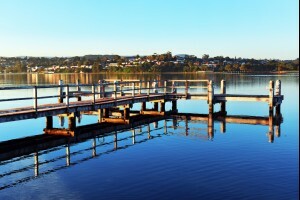 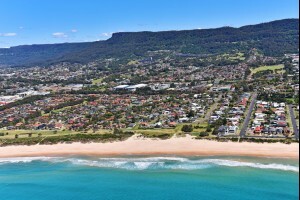 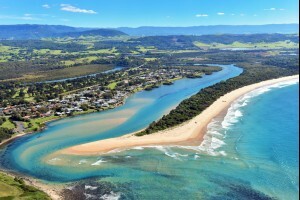 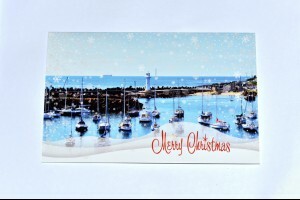 Product: Postcard of the Northern Illawarra Description: This postcard contains an image of the N.. 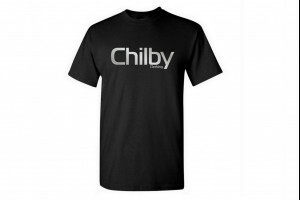 Product: Chilby Clothing T-Shirt - Black Description: This T-Shirt is a high quality Australian m.. 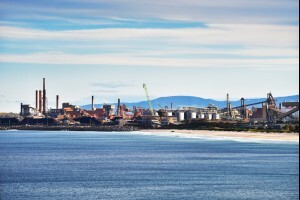 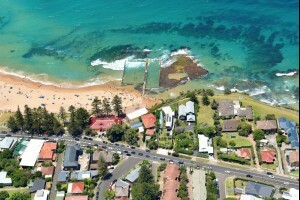 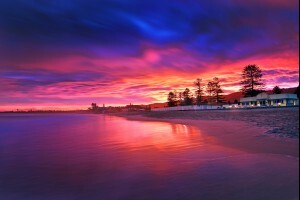 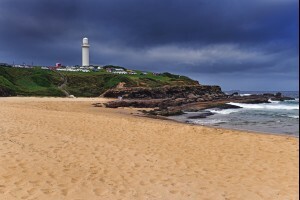 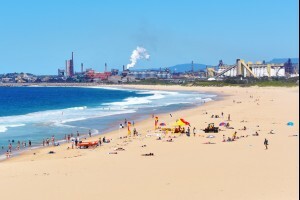 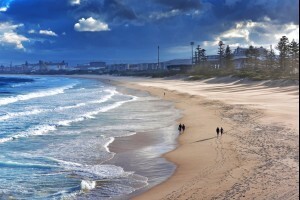 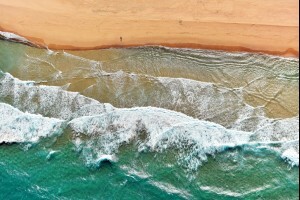 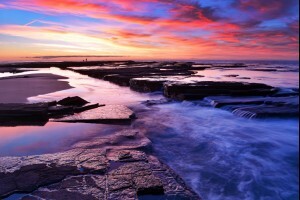 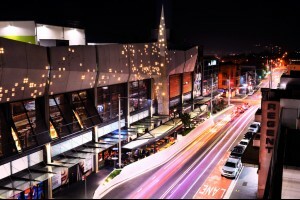 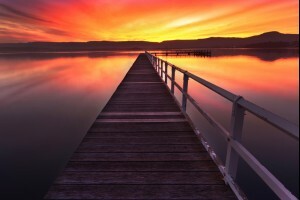 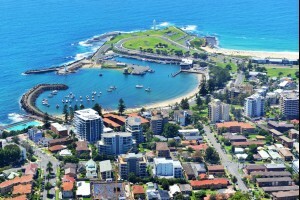 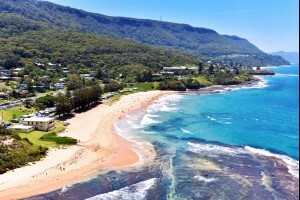 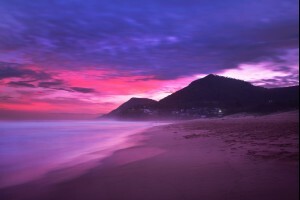 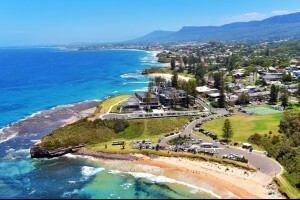 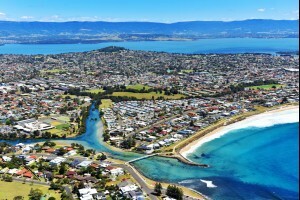 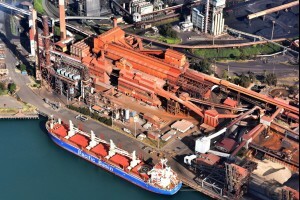 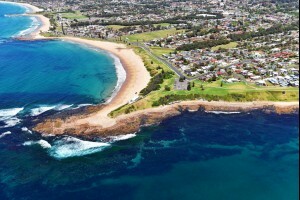 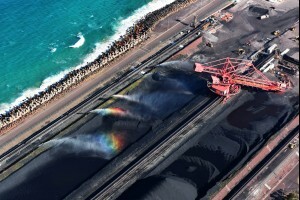 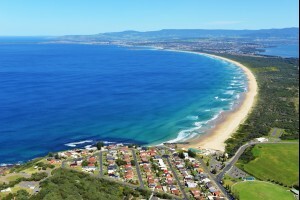 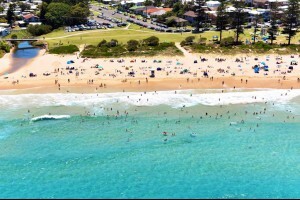 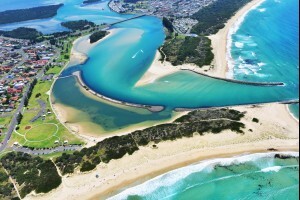 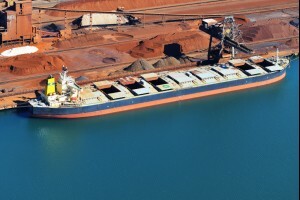 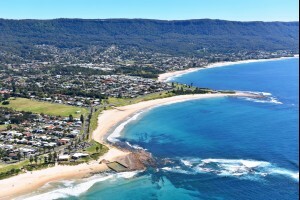 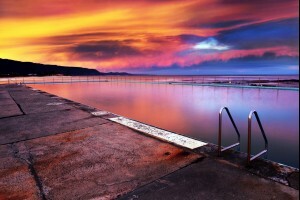 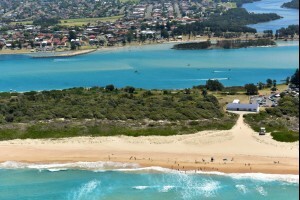 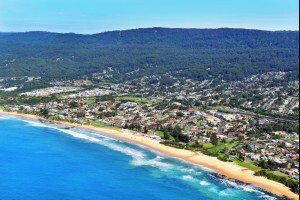 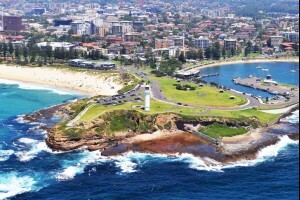 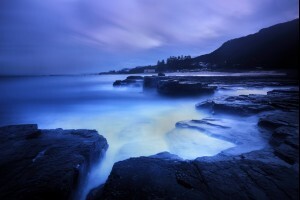 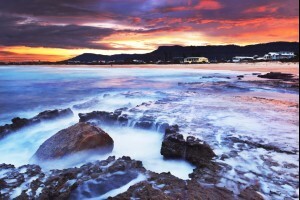 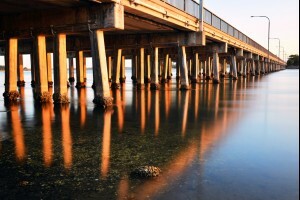 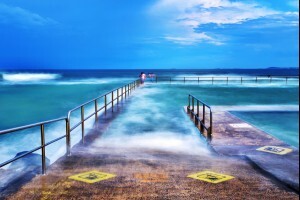 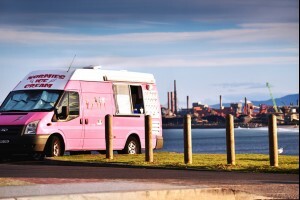 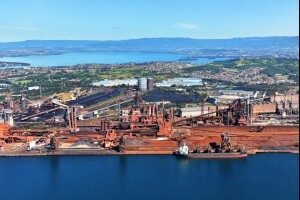 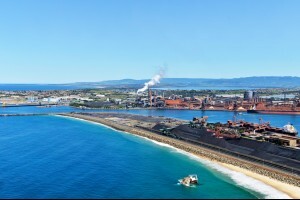 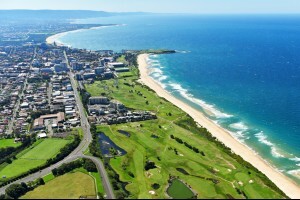 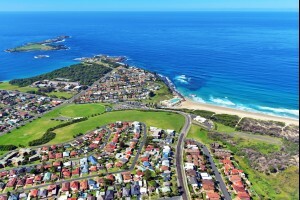 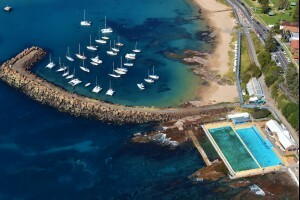 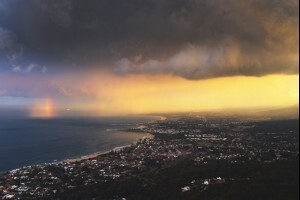 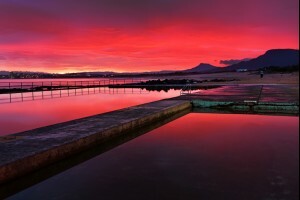 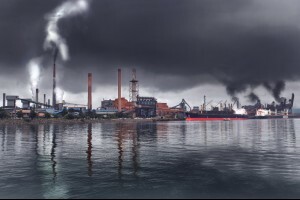 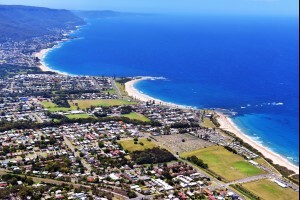 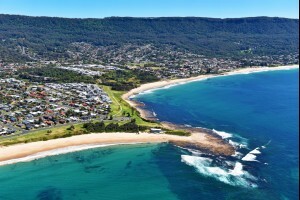 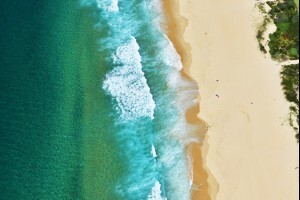 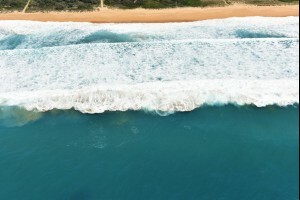 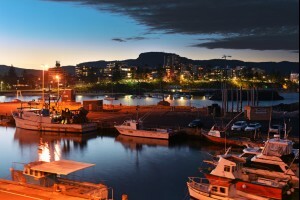 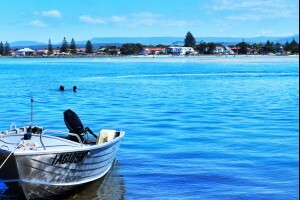 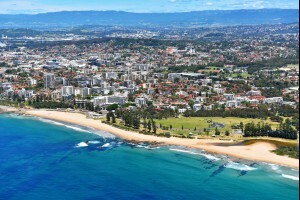 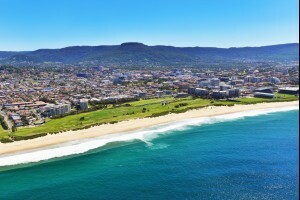 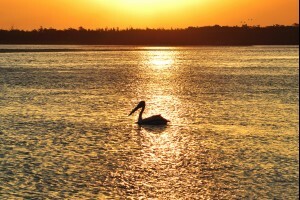 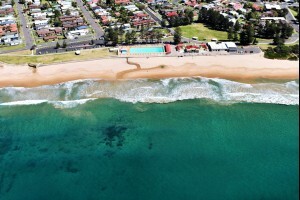 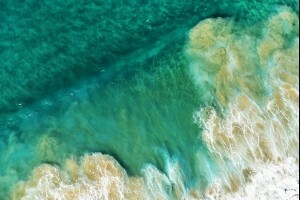 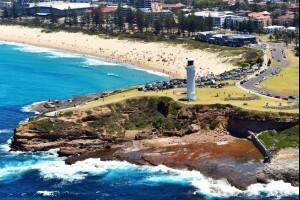 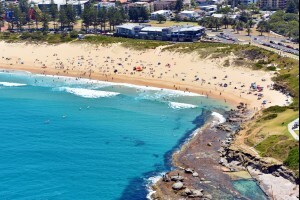 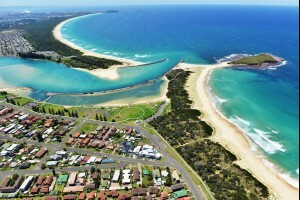 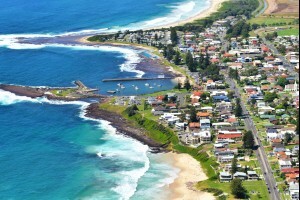 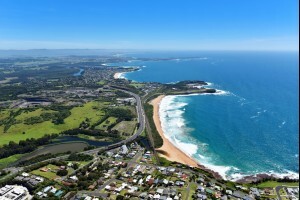 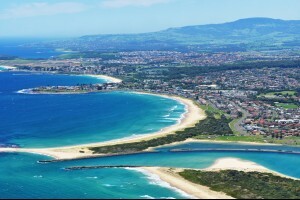 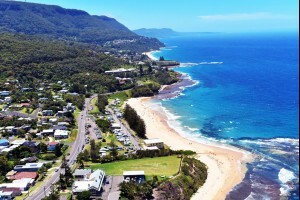 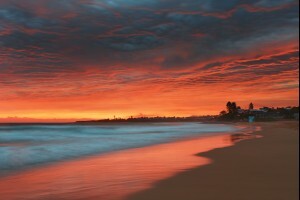 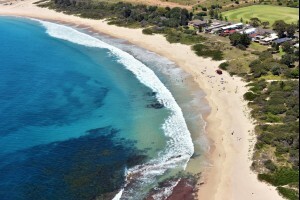 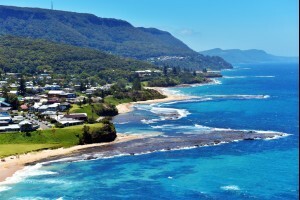 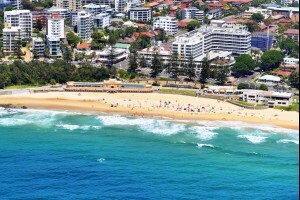 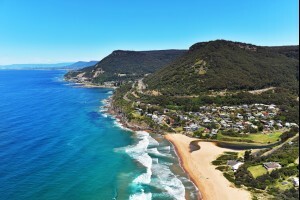 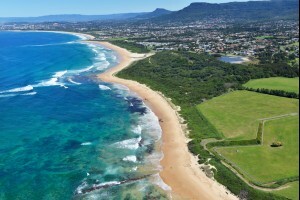 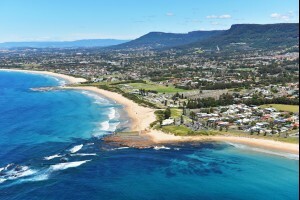 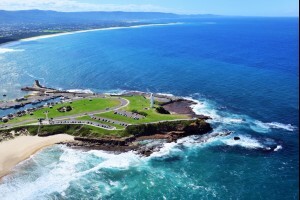 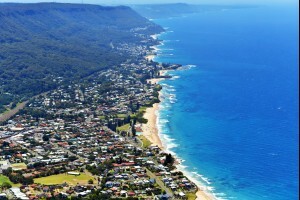 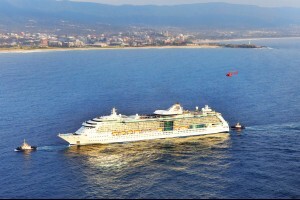 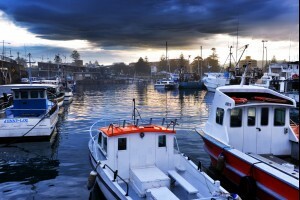 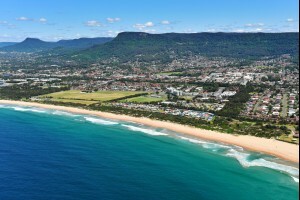 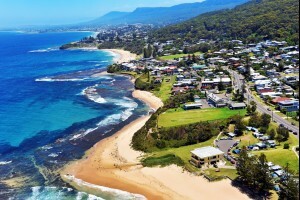 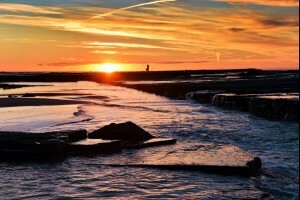 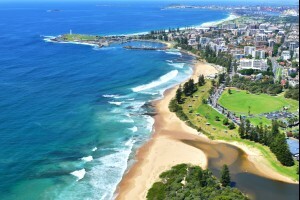 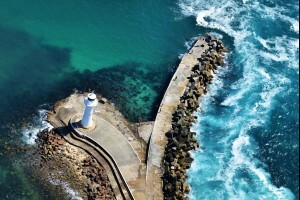 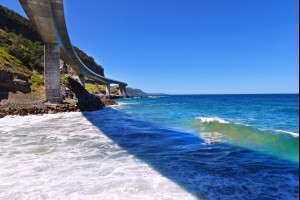 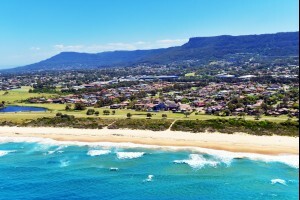 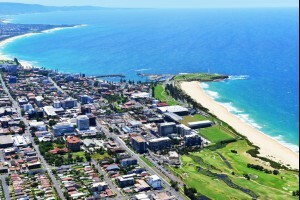 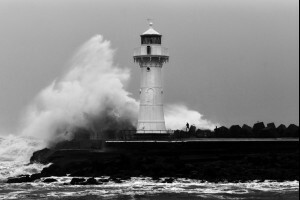 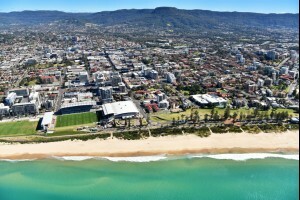 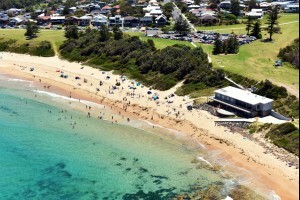 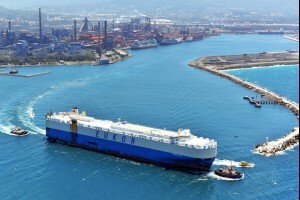 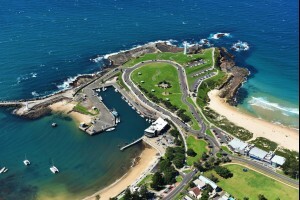 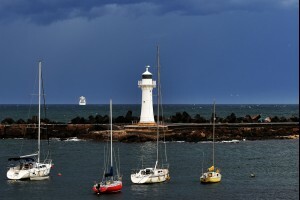 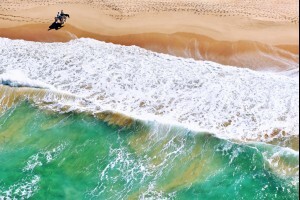 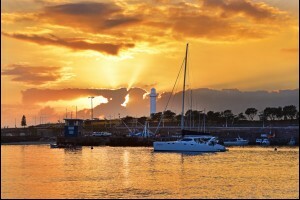 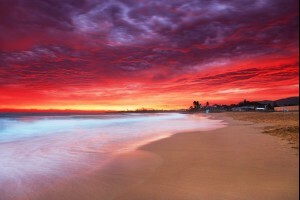 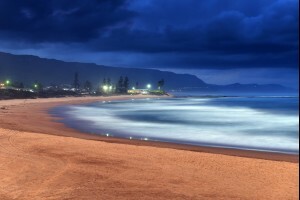 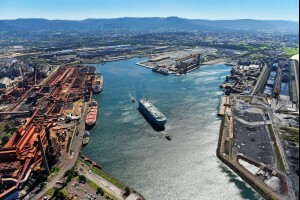 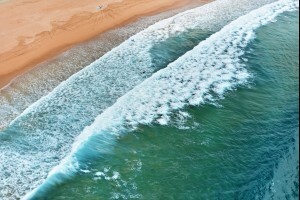 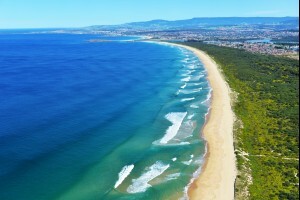 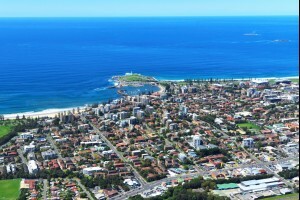 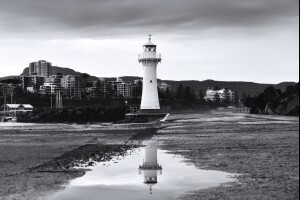 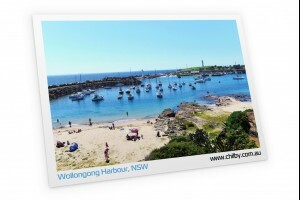 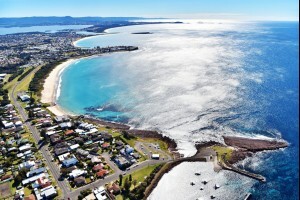 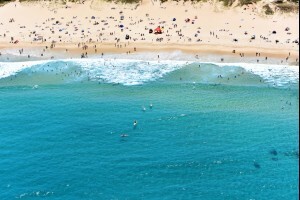 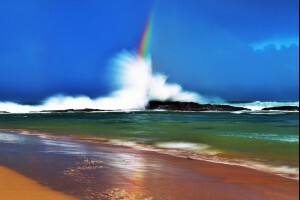 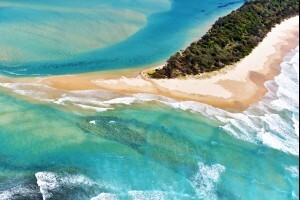 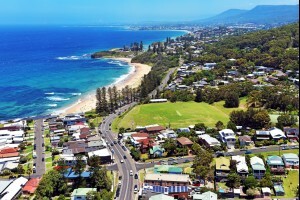 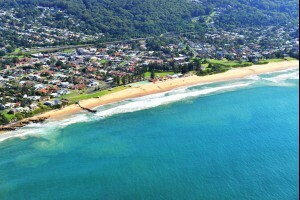 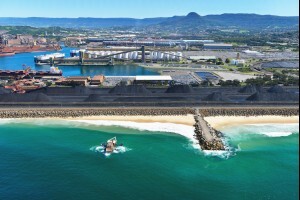 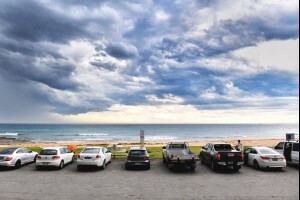 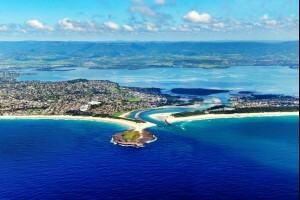 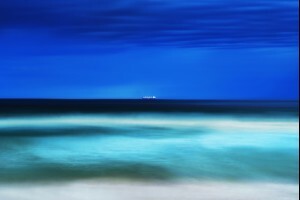 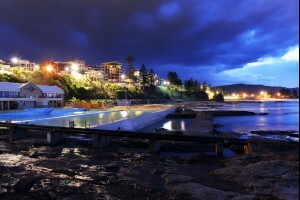 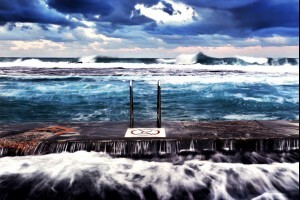 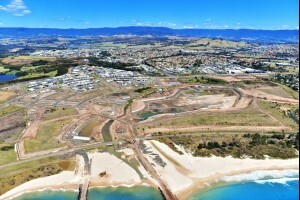 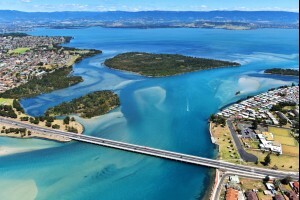 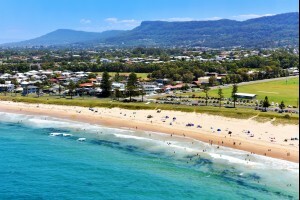 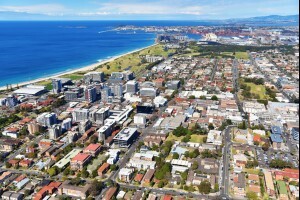 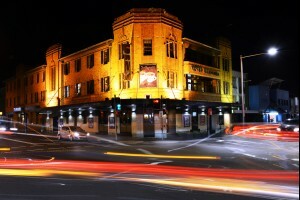 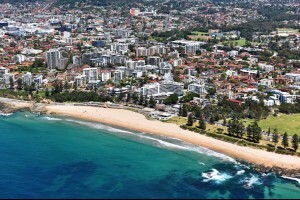 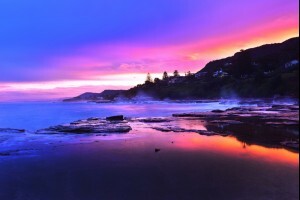 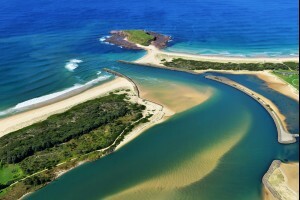 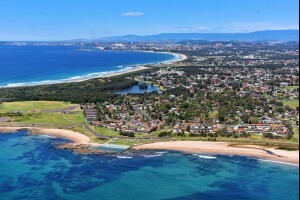 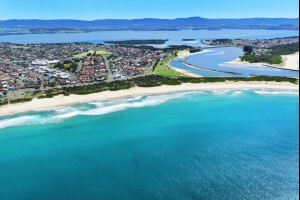 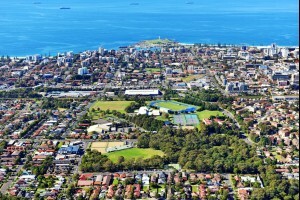 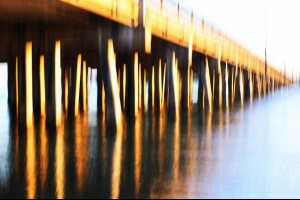 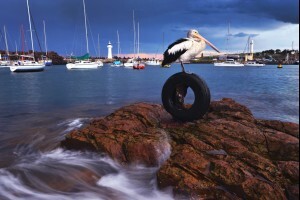 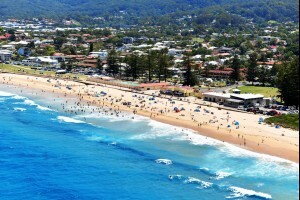 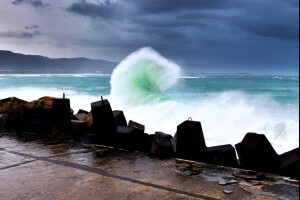 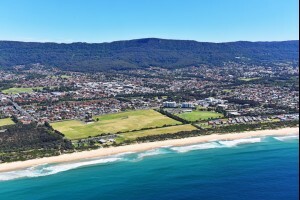 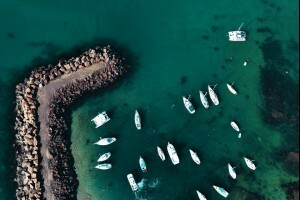 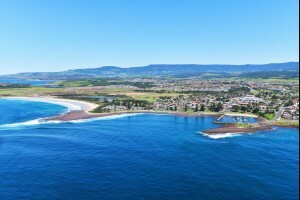 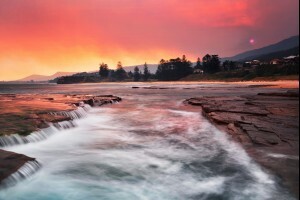 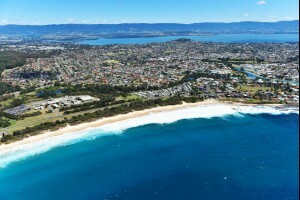 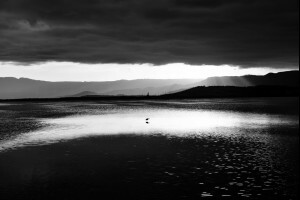 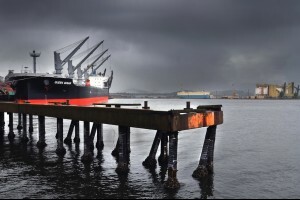 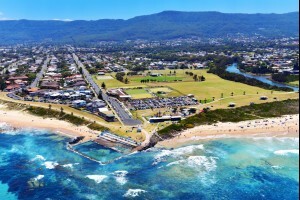 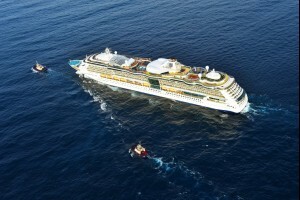 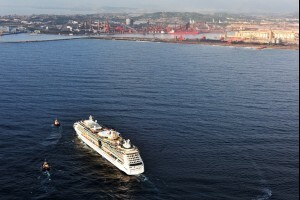 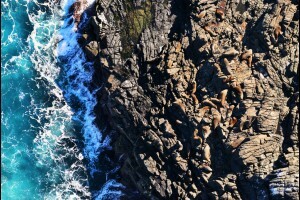 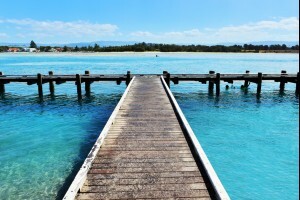 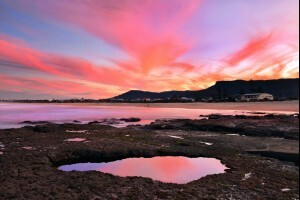 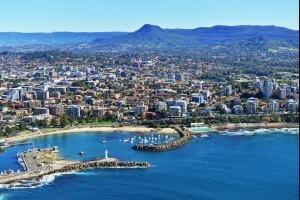 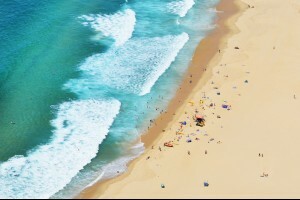 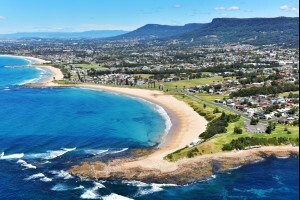 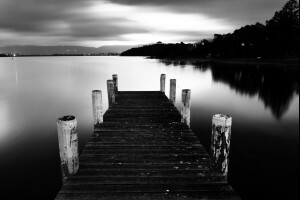 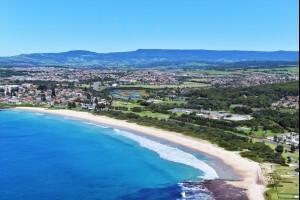 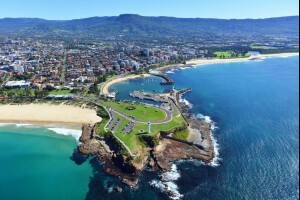 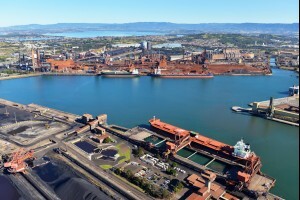 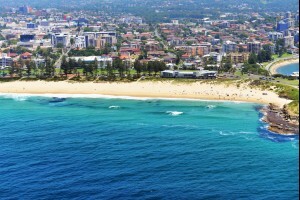 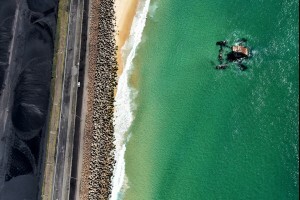 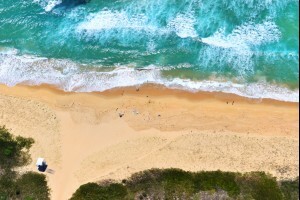 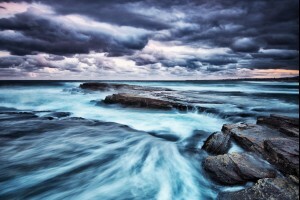 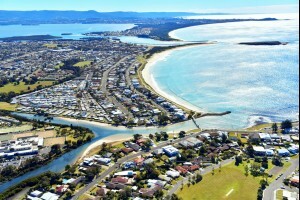 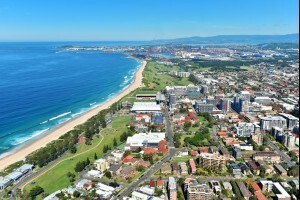 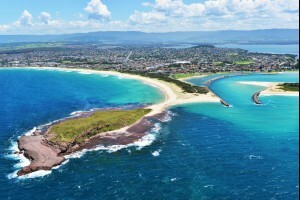 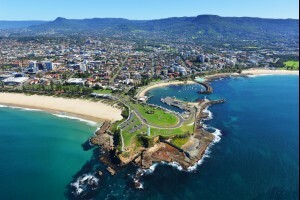 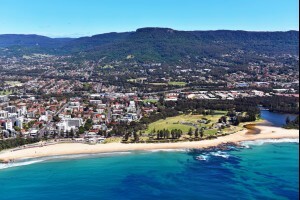 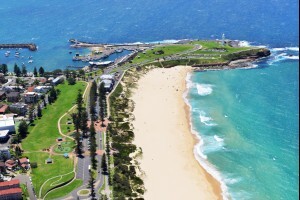 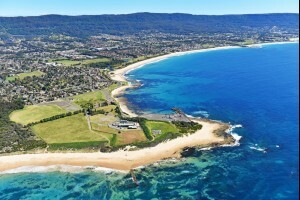 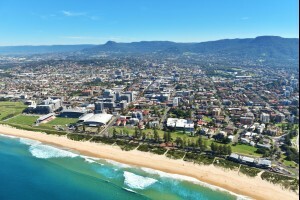 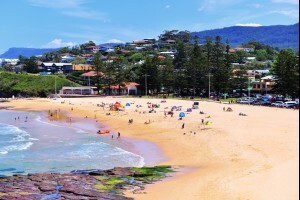 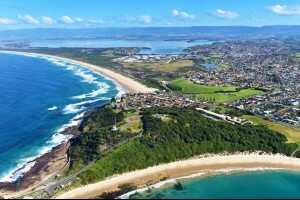 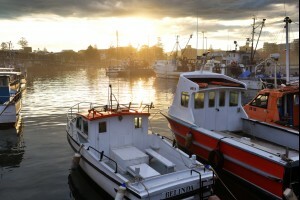 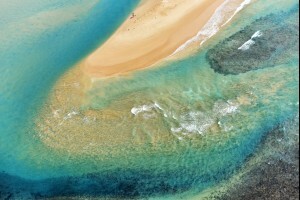 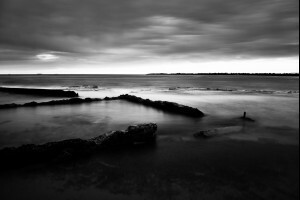 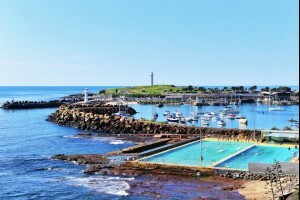 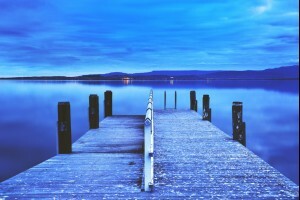 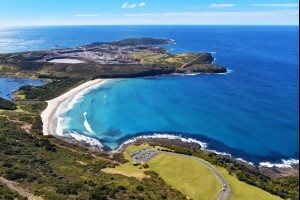 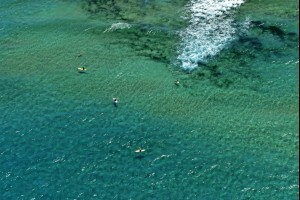 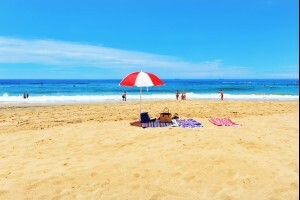 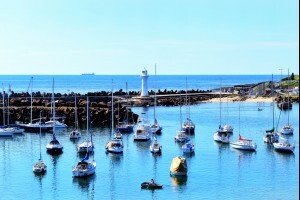 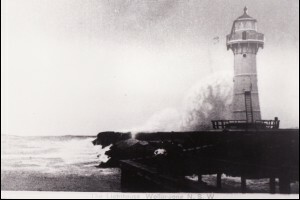 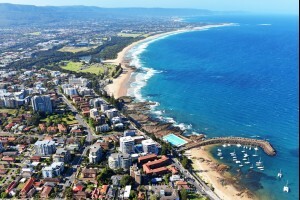 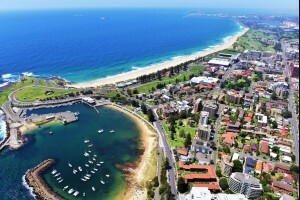 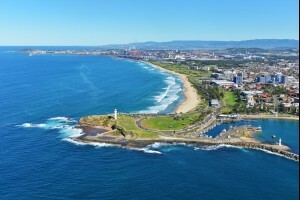 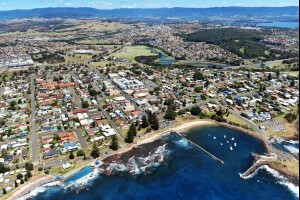 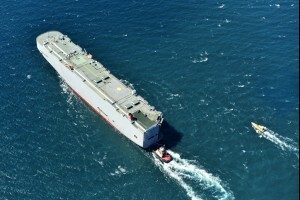 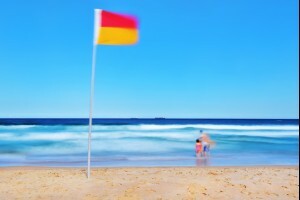 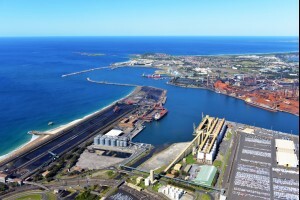 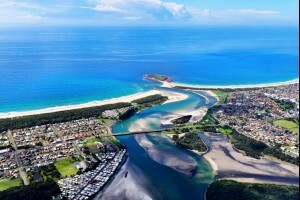 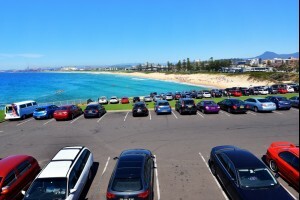 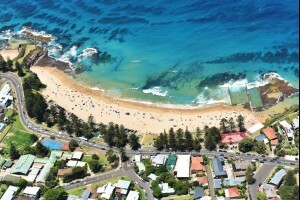 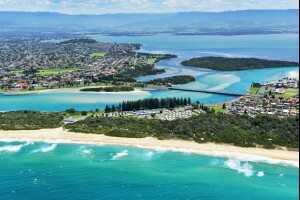 Product: Postcard of Wollongong Harbour Description: This postcard contains an image of the beaut.. 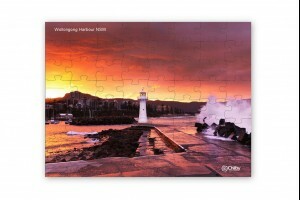 TEMPORARY UNAVAILABLE Description: This metal Keyring has one a photo of Wollongong Harbour. 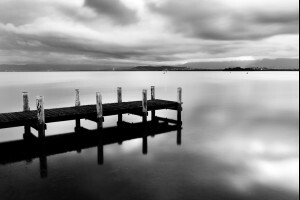 It&#.. 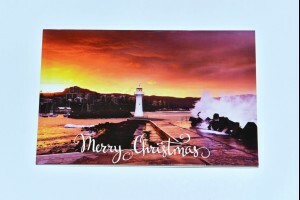 Description: This quality Christmas card is 18.5 cm x 11.5 cm and celebrates Christmas with a photog.. 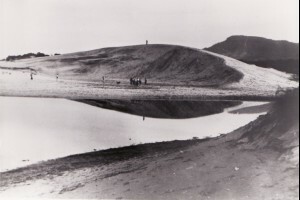 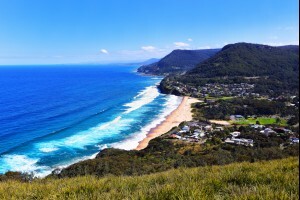 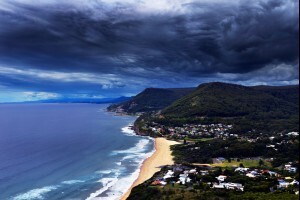 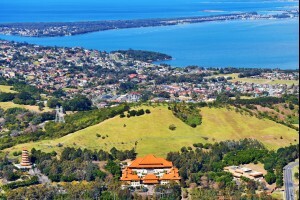 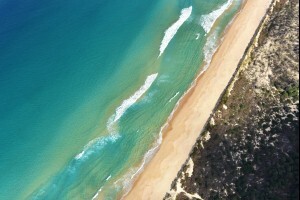 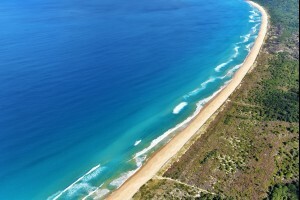 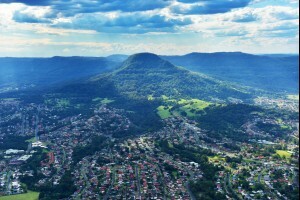 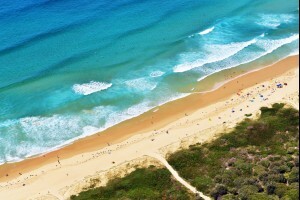 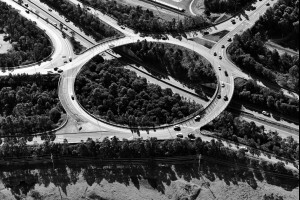 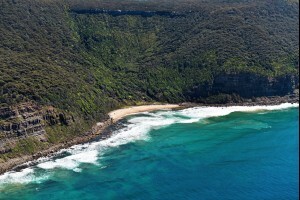 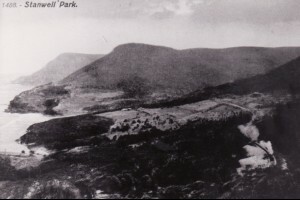 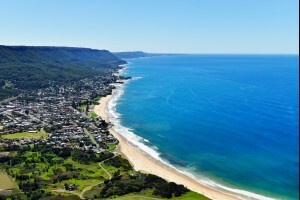 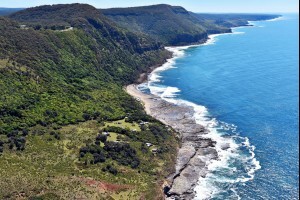 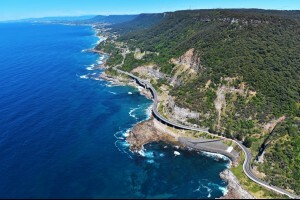 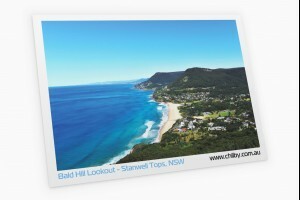 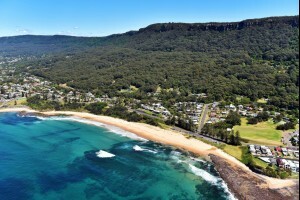 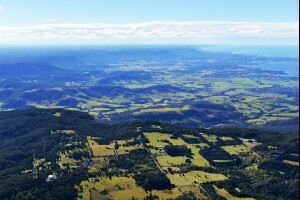 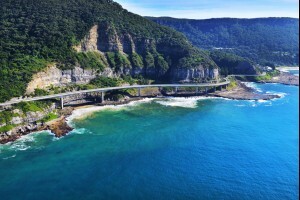 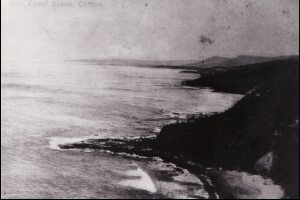 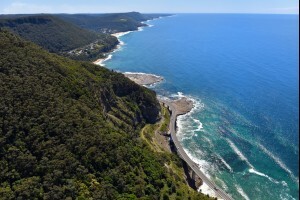 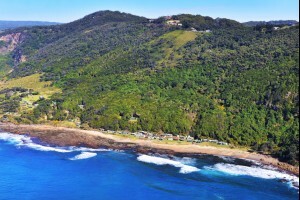 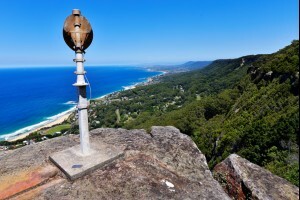 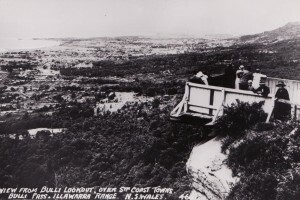 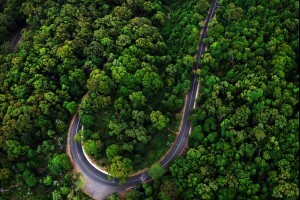 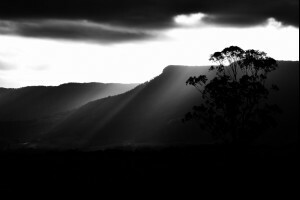 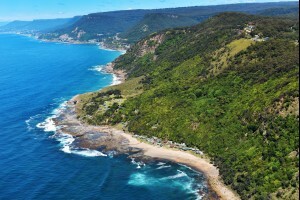 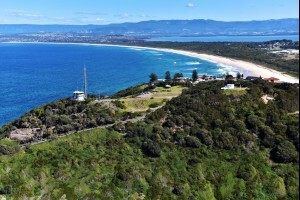 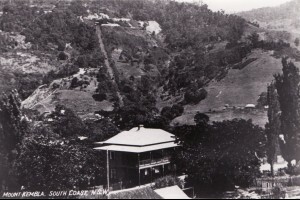 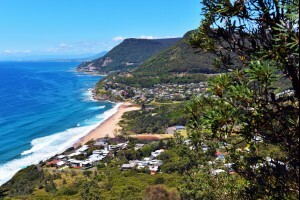 Product: Postcard of Bald Hill Lookout, Northern Illawarra Description: This postcard contains an.. 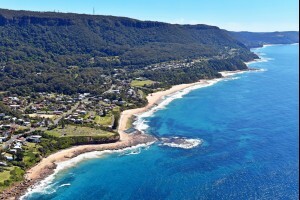 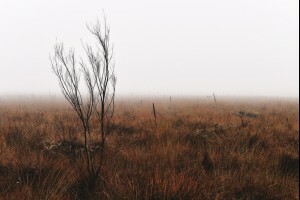 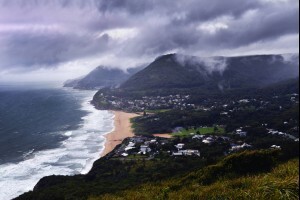 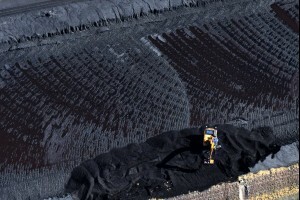 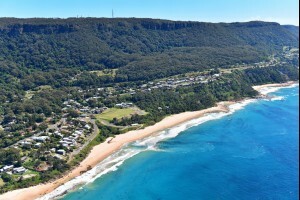 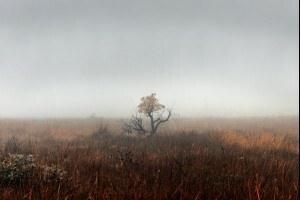 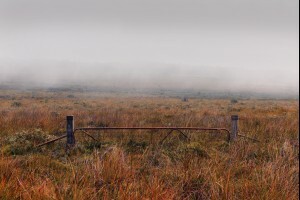 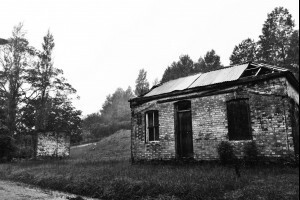 TEMPORARY UNAVAILABLE Description: This metal Keyring has one a photo of Bald Hill at Stanwell To.. 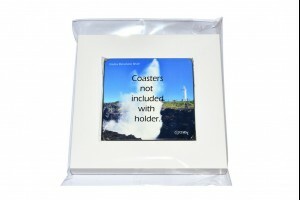 Description: This is a coaster holder that fits 4 coasters. 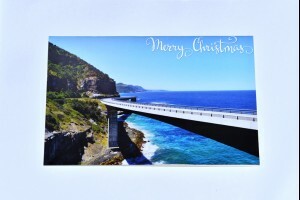 Coasters aren't included with the ho.. 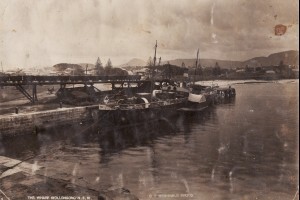 TEMPORARY UNAVAILABLE Description: This metal Keyring has one a photo of Belmore Basin, Wollongon.. 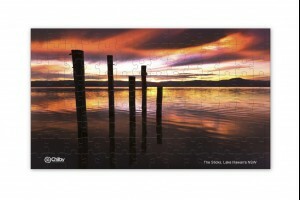 TEMPORARY UNAVAILABLE Description: This puzzle is a 80 piece traditional cardboard rectangle puzz.. 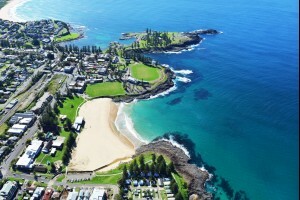 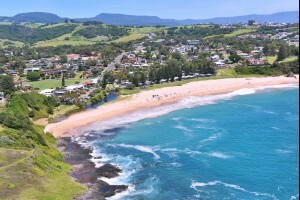 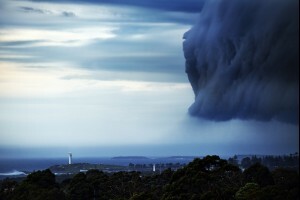 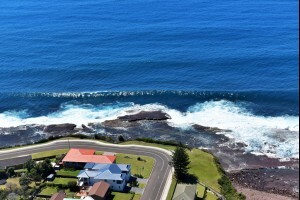 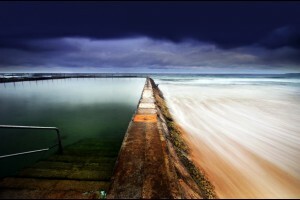 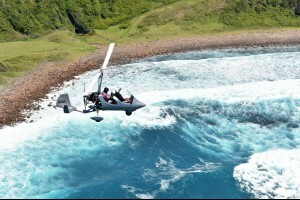 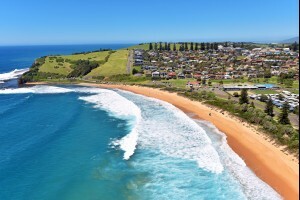 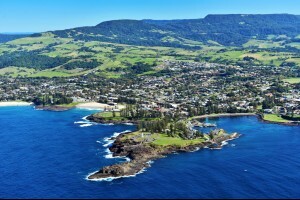 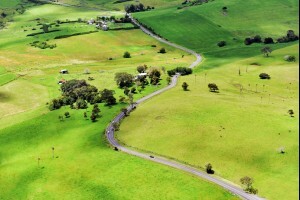 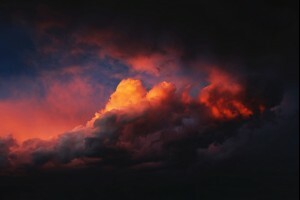 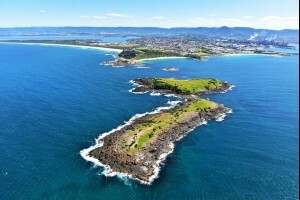 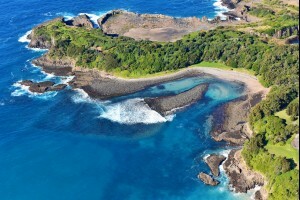 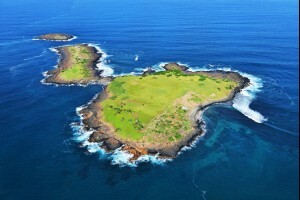 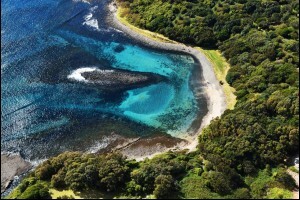 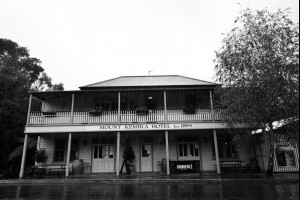 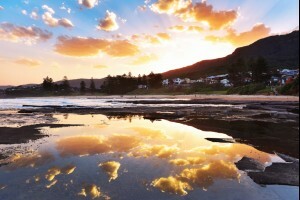 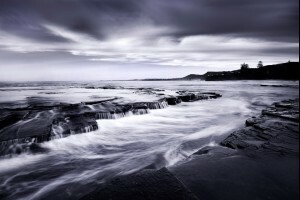 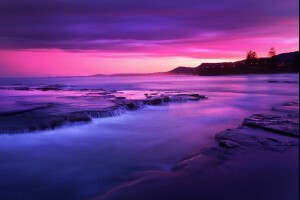 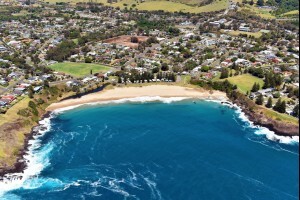 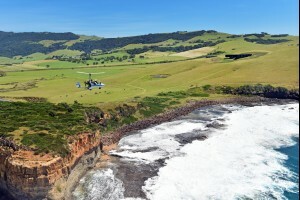 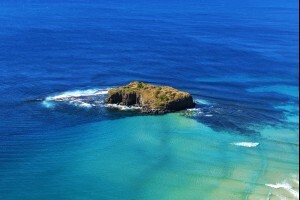 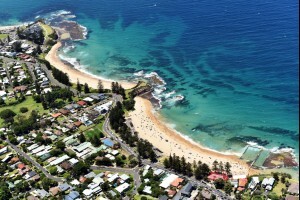 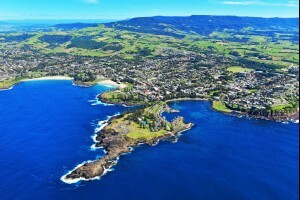 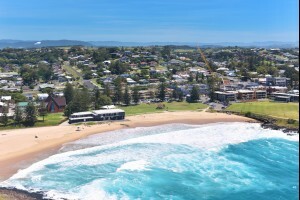 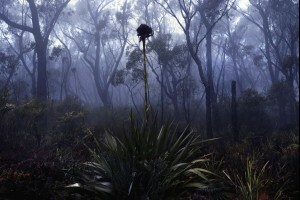 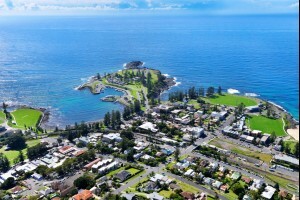 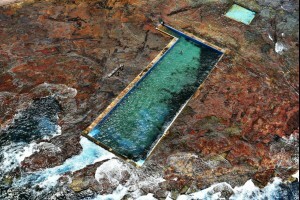 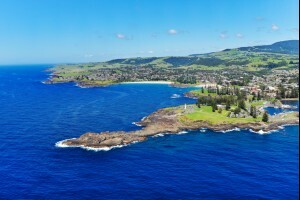 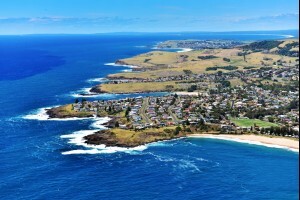 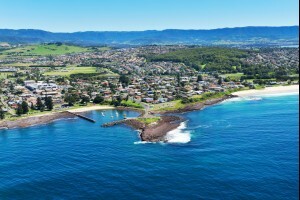 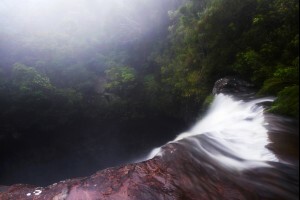 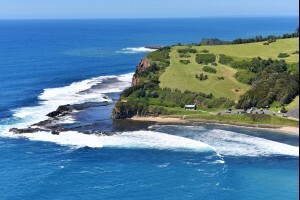 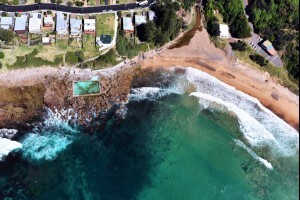 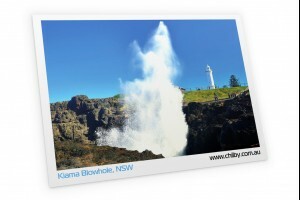 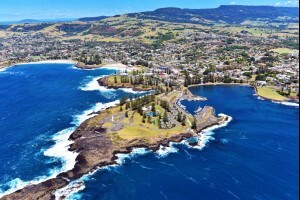 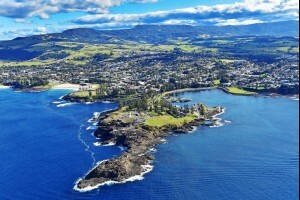 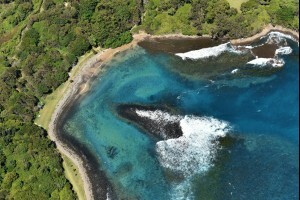 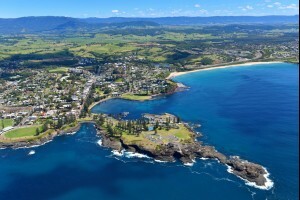 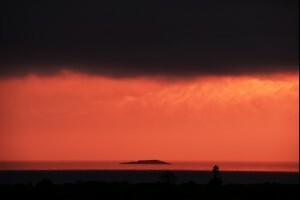 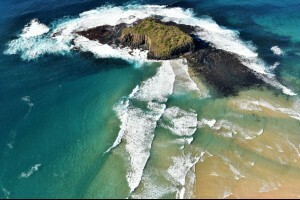 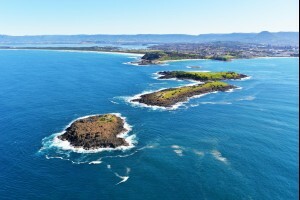 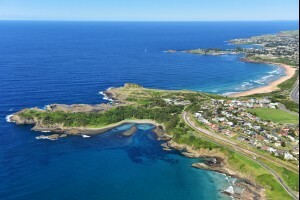 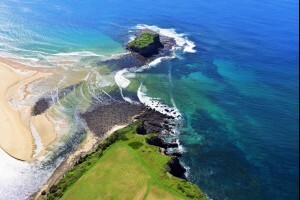 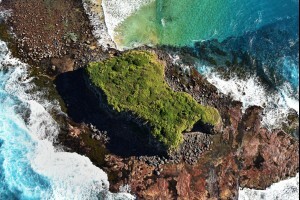 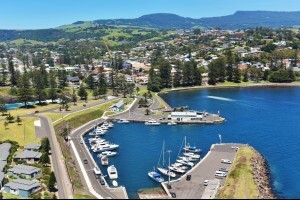 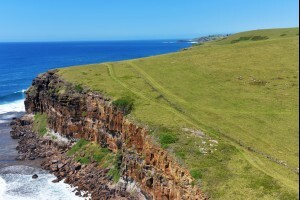 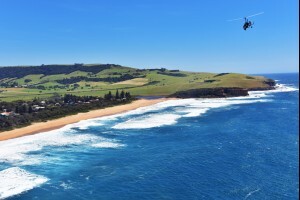 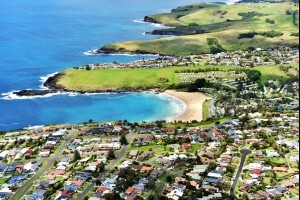 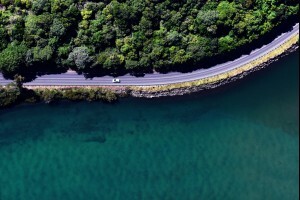 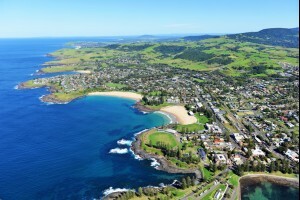 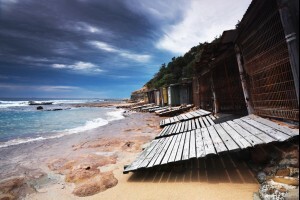 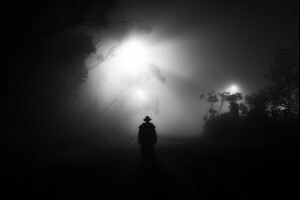 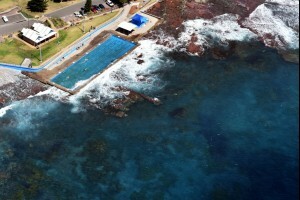 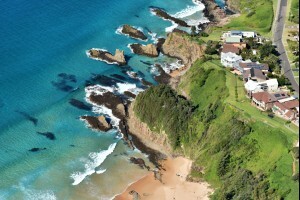 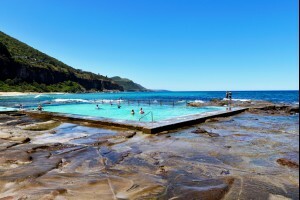 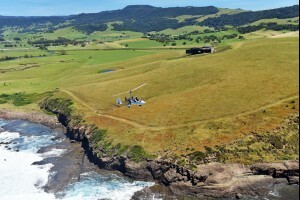 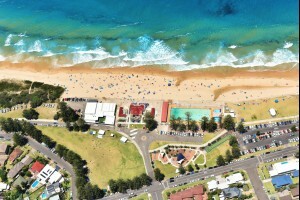 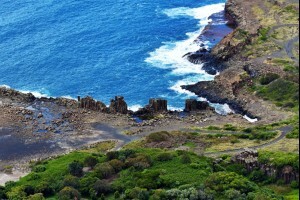 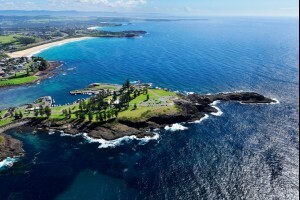 Product: Postcard of Kiama Description: This postcard contains an image of the famous Kiama blowh.. 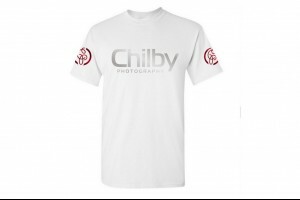 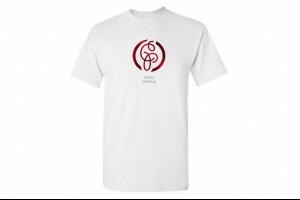 Product: Chilby Photography T-Shirt - White Description: This T-Shirt is a high quality Australia.. 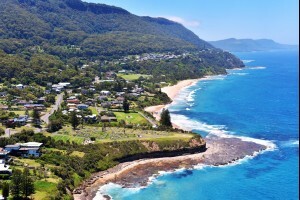 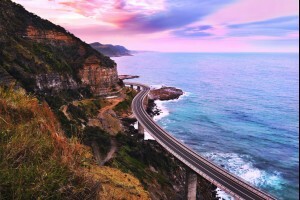 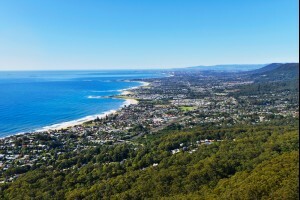 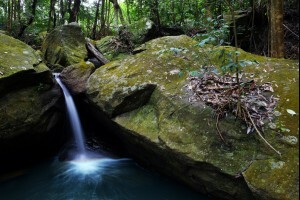 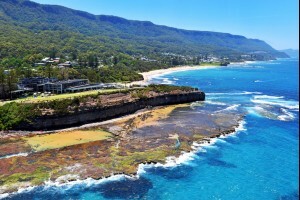 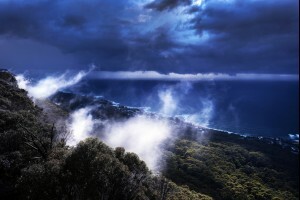 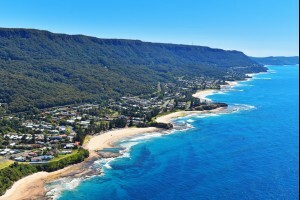 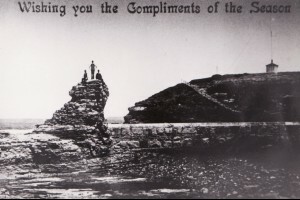 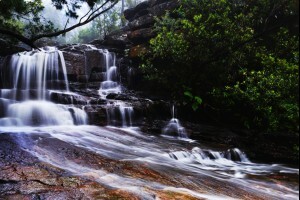 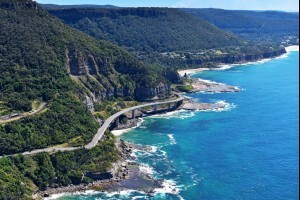 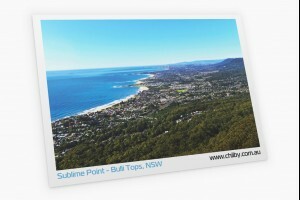 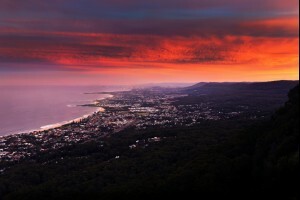 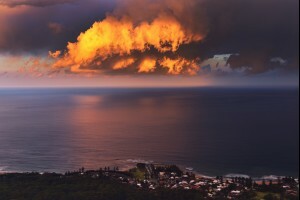 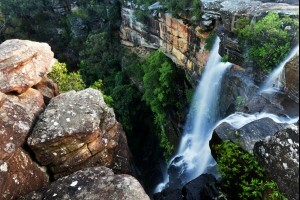 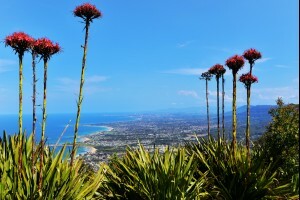 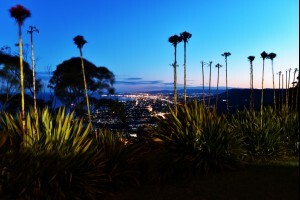 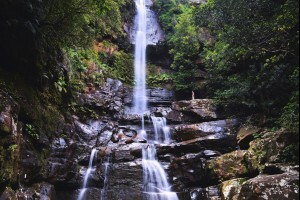 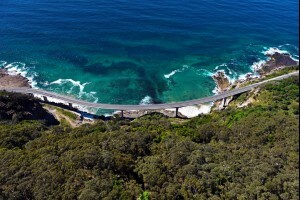 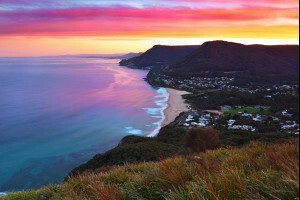 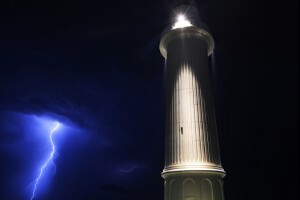 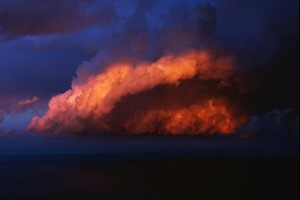 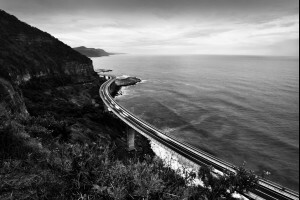 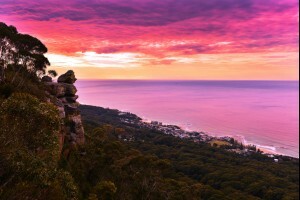 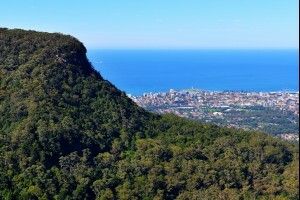 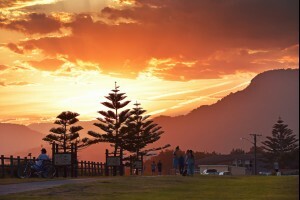 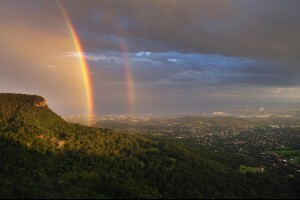 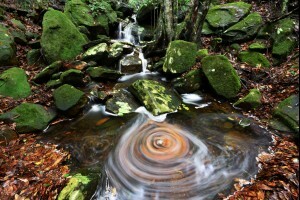 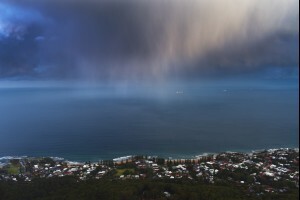 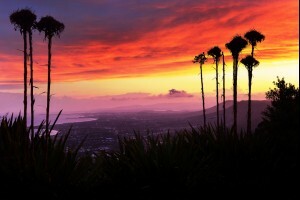 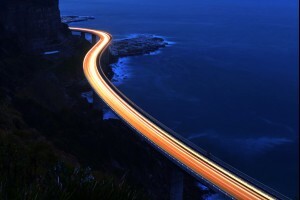 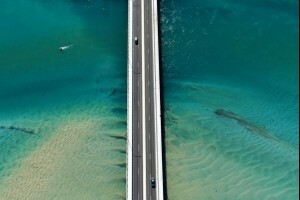 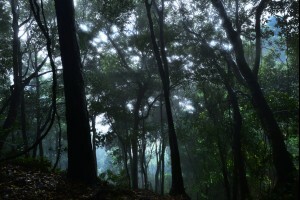 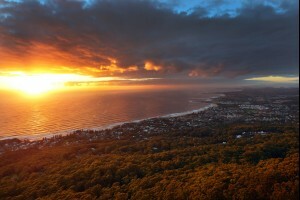 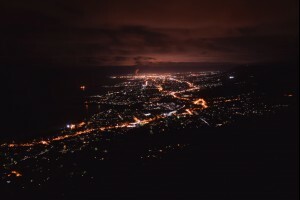 Product: Postcard of Sublime Point Lookout Description: The image on this postcard is the view ov.. 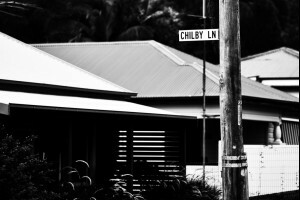 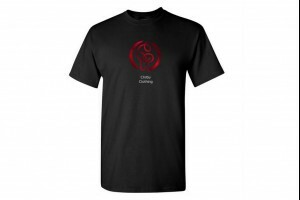 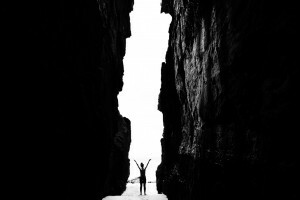 Product: Chilby Photography T-Shirt - Black Description: This T-Shirt is a high quality Australia.. 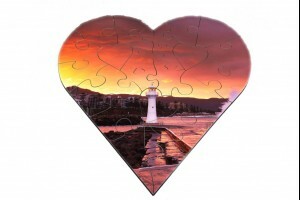 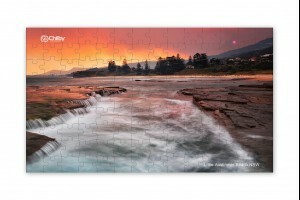 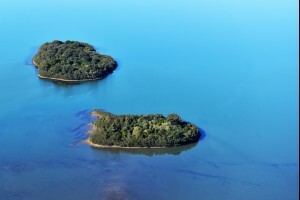 TEMPORARY UNAVAILABLE Description: This is a heart shaped 25 Piece jigsaw puzzle of Wollongong ha.. 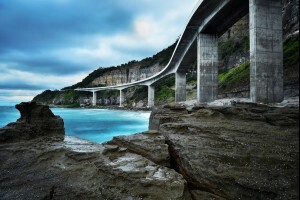 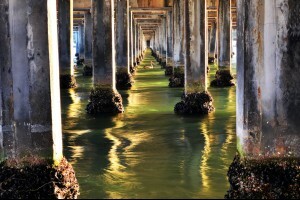 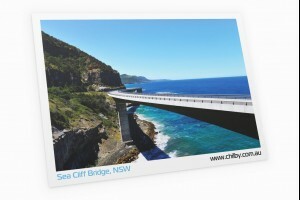 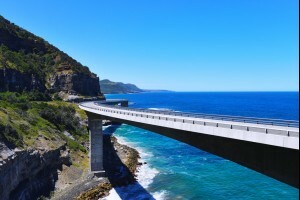 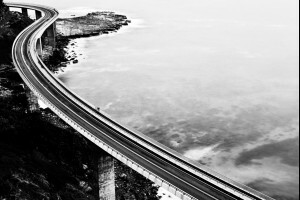 Product: Postcard of Sea Cliff Bridge Description: This postcard contains an image of Sea Cliff B.. 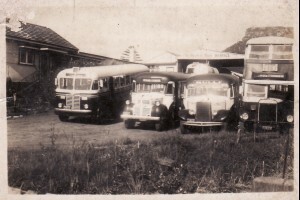 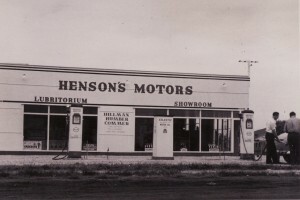 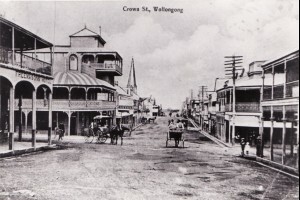 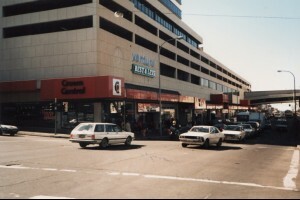 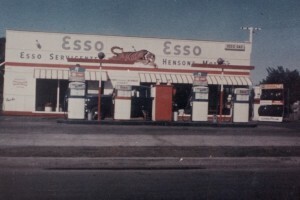 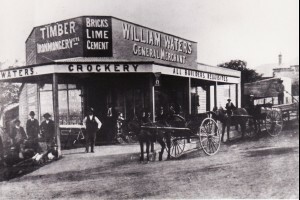 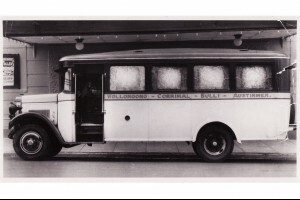 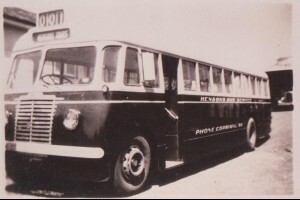 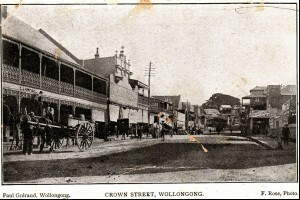 Product: Postcard of the Illawarra Description: This postcard contains an image of the Illawarra ..
Photo Location: Crown Street, Wollongong Photo Description: This photo takes a look at Wollongong..
Photo Location: Henson's Bus at Corrimal Depot Photo Description: This photo was taken of a H..
Photo Location: Henson's Bus Service Depot, Corrimal Photo Description: This photo was taken ..
Photo Location: Henson's Service Station, Corrimal Photo Description: This photo was taken at..
Photo Location: The Old Wollongong Lighthouse Photo Description: This is the Old Lighthouse in Wo..
Photo Location: Wollongong Harbour and Lighthouse Photo Description: This is Wollongong Harbour w..
Photo Location: Crown Street, Wollongong Photo Description: This is a photo of Wollongong's m..
Photo Location: Crown Street, Wollongong Photo Description: This photo was taken in Wollongong..
Photo Location: Princes Highway, Corrimal Photo Description: This photo was taken on the main str..
Photo Location: Corrimal Railway Station Photo Description: Corrimal Railway Station taken in the..
Photo Location: Railway Street, Corrimal Photo Description: This photo was taken on Railway Stree..
Photo Location: Main Road, Corrimal Photo Description: This photo was taken on the Princes Highwa..
Photo Location: Corrimal Railway and Coke Works Photo Description: This photo taken at Corrimal R..
Photo Location: Corrimal N.S.W Photo Description: This photo was taken in Corrimal with Broker..
Photo Location: Princes Highway, Corrimal Photo Description: This photo was taken on the main roa..
Photo Location: Corrimal Colliery Photo Description: This photo was taken at the old Corrimal col..
Photo Location: Corrimal Colliery Incline Photo Description: This photo was taken at the old Corr..
Photo Location: Princes Highway, Corrimal N.S.W Photo Description: This photo was taken on the Pr..
Photo Location: South Bulli Colliery Photo Description: This photo was taken at South Bulli Colli..
Photo Location: East Corrimal beach Photo Description: This photo was taken at East Corrimal beac..
Photo Location: Mullet Creek, Dapto Photo Description: This photo was taken at Mullet Creek in Da..
Photo Location: Flagstaff Hill, Wollongong Photo Description: This Christmas card has a photo of ..
Photo Location: Bulli Pass Photo Description: This photo was taken at the top of Bulli Pass in Ju..
Photo Location: Bald Hill, Stanwell Park Photo Description: This photo was taken in the early 180..
Photo Location: Thirroul Beach Photo Description: This photo is of Thirroul beach in the northern..
Photo Location: Bulli Lookout Photo Description: This photo was taken at Bulli Lookout. 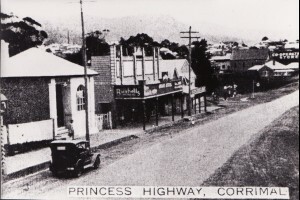 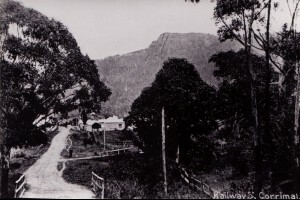 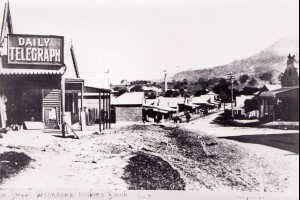 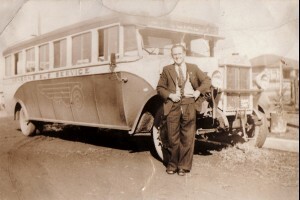 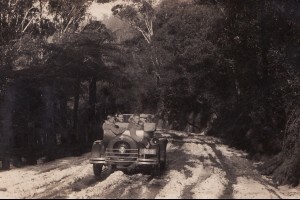 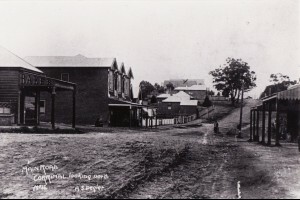 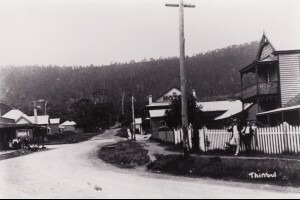 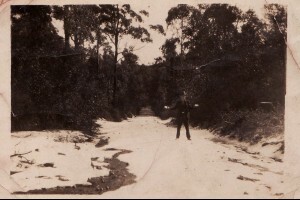 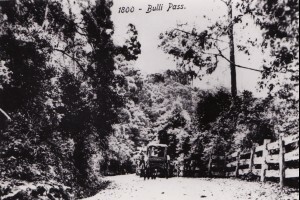 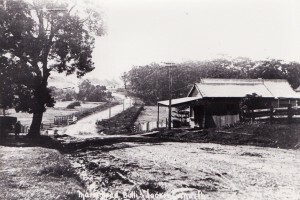 Date T..
Photo Location: Main Road, Thirroul Photo Description: This photo was taken on Lawrence Hargrave ..
Photo Location: Main Road, Woonona Photo Description: This photo is of the main road, Princes Hig..
Photo Location: Bulli Pass Photo Description: This photo was taken in July 1932. 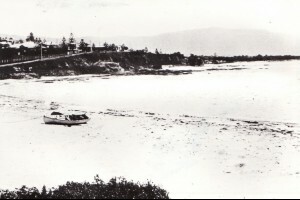 They say that it..
Photo Location: Main Road, Old Bulli Photo Description: This is the main road, Princes Highway at..
Photo Location: Brighton Beach, Wollongong Photo Description: This photo was taken at Brighton Be..
Photo Location: Wollongong Show Ground Photo Description: This photo was taken during the Queen&#..
Photo Location: Ladies Baths, Wollongong Photo Description: This photo was taken at the Ladies Ba..
Photo Location: Towradi Creek Photo Description: This photo was taken at Towradgi Creek. 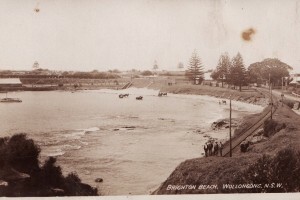 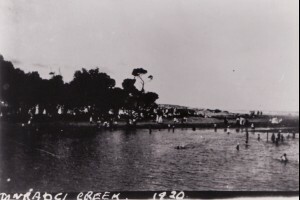 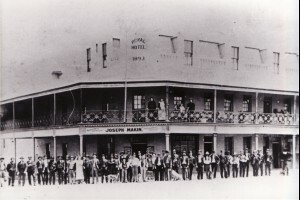 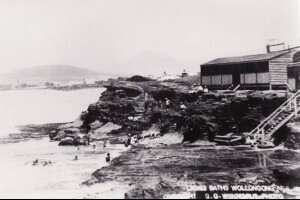 Date ..
Photo Location: Royal Hotel, Wollongong Photo Description: This photo was taken at the Royal Hote..
Photo Location: Wollongong Harbour Photo Description: This photo was taken from Brighton beach at..
Photo Location: Brighton Beach, Wollongong Harbour Photo Description: This photo was taken from B..
Photo Location: Wollongong Post and Telephone Office. 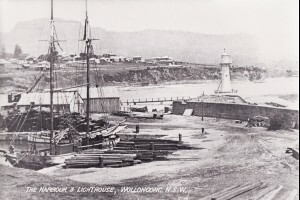 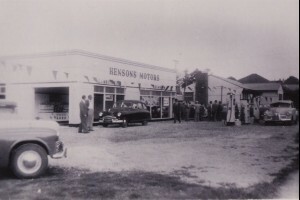 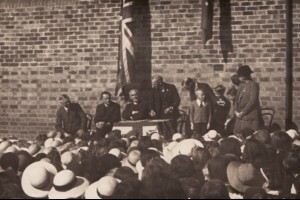 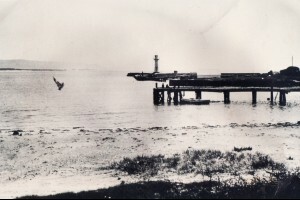 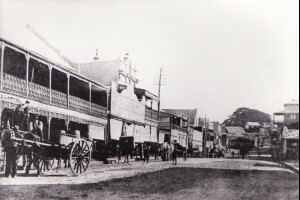 Photo Description: This photo was taken at ..
Photo Location: Wollongong Photo Description: This is King George IV issuing medals at Wollongong..
Photo Location: Wollongong Harbour Photo Description: This photo was taken at Wollongong Harbour,..
Photo Location: General Merchant Store, Wollongong Photo Description: This is a general merchant ..
Photo Location: Church Street, Wollongong Photo Description: This photo is of a Church street cot..
Photo Location: Mount Kembla Village Photo Description: This photo was taken at Mount Kembla Vill..
Photo Location: Mount Kembla Pub Photo Description: This is Mount Kembla pub at Mount Kembla. 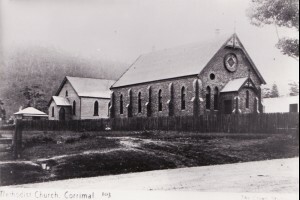 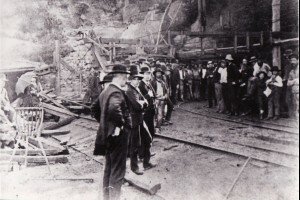 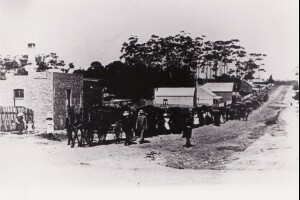 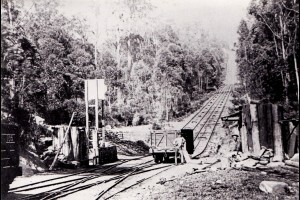 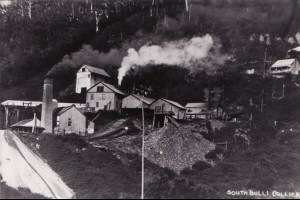 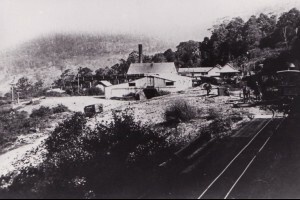 ..
Photo Location: South Bulli Colliery Photo Description: This photo was taken at Corrimal Colliery..
Photo Location: Corrimal Photo Description: This photo is at Corrimal with Broker's Nose in t..
Photo Location: Smiths Hill, Wollongong Photo Description: This photo of Wollongong was taken fro..
Photo Location: Crown Street, Wollongong Photo Description: This photo was taken in Crown Street,..
Photo Location: Lower Crown Street Photo Description: This photo was taken at the lower end of Cr..
Photo Location: Wollongong Photo Description: This is an aerial view of Wollongong, Port Kembla a..
Photo Location: Henson's Bus in Wollongong Photo Description: This photograph includes a Hens..
Photo Location: Henson's Taxi Service Photo Description: This is a Henson's taxi taken in..
Photo Location: Henson's Taxi in Wollongong Photo Description: This is a Henson's Taxi wi..
Photo Location: Midgley Street, Corrimal Photo Description: This photo is of number 42 Midgley St..
Photo Location: Henson's Bus Service, Corrimal Photo Description: This is a Leyland Badger, H..
Photo Location: Henson's Bus, Midgley Street, Corrimal Photo Description: This is a Henson..
Photo Location: Henson's Bus, Corrimal Photo Description: This is a Henson's Bus, Dodge t..
Photo Location: Henson's Bus Service, Corrimal Photo Description: This photo was taken at the..
Photo Location: Henson's Bus Service Depot, Corrimal Photo Description: This is the house of ..
Photo Location: Henson's Bus Service Depot, Corrimal Photo Description: This photo was t..
Photo Location: Henson's Bus, Corrimal Photo Description: This is a Henson's Bus taken in..
Photo Location: Bulli Pass Photo Description: This photo was taken on Bulli Pass in the early 180..
Photo Location: Corrimal Methodist Church Photo Description: This photo of the Corrimal Methodist..
Photo Location: View from Clifton Photo Description: This is the view of the Illawarra from Clift..
Photo Location: The Northern Illawarra Photo Description: This photograph was taken above McCaule..
Photo Location: Flagstaff Hill, Wollongong Photo Description: In the foreground of this photograp..
Photo Location: Port Kembla beach Photo Description: This is an aerial view of Port Kembla beach ..
Photo Location: The Old Lighthouse, Wollongong Photo Description: This photograph is over looking..
Photo Location: Windang Beach, Lake Illawarra Photo Description: This photograph is over looking ..
Photo Title: Towradgi Blue Photo Location: Towradgi Ocean Pool Photo Description: This shot wa..
Photo Location: Bulgo Beach, Otford Photo Description: These old shacks lining the beach below ar..
Photo Location: Austinmer Beach Photo Description: The first beach you can see here is Austinmer ..
Photo Location: Mystics Beach Photo Description: This amazing stretch of coast is Mystics Beach, ..
Photo Title: The Thirroul Show Photo Location: Thirroul Beach Photo Description: This shot was..
Photo Title: A Lonely Sunlit Ship Photo Location: Corrimal Beach Photo Description: A very sto..
Photo Location: The Entrance, Lake Illawarra Photo Description: This photograph includes the view..
Photo Location: Big Island, Port Kembla Photo Description: In the foreground here we have Big Isl..
Photo Location: Sea Cliff Bridge, Northern Illawarra Photo Description: This shot takes in the st..
Photo Location: The Port Kembla Steel Works Photo Description: This shot was captured over lookin..
Photo Location: The Lagoon, Puckeys Beach Photo Description: This shot takes in a view of Wollong..
Photo Location: Hill 60 Port Kembla Photo Description: This shot was captured above Hill 60 at Po..
Photo Title: The Spectacle Photo Location: Sublime Point, Bulli Tops Photo Description: I was ..
Photo Location: Windang Bridge NSW Photo Description: This shot was caputred over looking Windang..
Photo Title: Pool of Drama Photo Location: Coledale Ocean Pool Photo Description: This is Cole..
Photo Title: Ocean and Earth Photo Location: Sea Cliff Bridge, Coalcliff Photo Description: A ..
Photo Title: Deep Green Photo Location: Wodi Wodi Falls, Wodi Wodi Track Photo Description: Th..
Photo Title: Still Storm Photo Location: Sandon Point, Bulli Photo Description: This shot was ..
Photo Title: The City Lights Photo Location: Sublime Point, Bulli Tops Photo Description: This..
Photo Title: A Ripper Photo Location: Thirroul Beach Photo Description: This spectacular sunse..
Photo Title: Bulli Blues Photo Location: Bulli Beach Photo Description: This beautiful beach i..
Photo Location: Warilla Beach NSW Photo Description: This shot was taken from above the mouth of ..
Photo Location: Wollongong City Photo Description: This is Wollongong City with Wollognong Harbou..
Photo Location: Rangoon Island, Minnamurra, Kiama Photo Description: This shot was taken from abo..
Photo Title: Eerieness Photo Location: Sublime Point, Bulli Tops Photo Description: This shot ..
Photo Location: Austinmer Headlands Hotel Photo Description: This spectacular location is Austinm..
Photo Location: Bombo Beach, Kiama Photo Description: Here we have Bombo beach in the Kiama regio..
Photo Title: Framed by Flowers Photo Location: Sublime Point, Bulli Tops Photo Description: Th..
Photo Location: Lake Illawarra, New South Wales Photo Description: This shot was taken from above..
Photo Title: Radiance of the Seas Photo Location: Wollongong Photo Description: This aerial ph..
Photo Location: Windang Bridge Australia Photo Description: This is an aerial view of the beautif..
Photo Title: Colour Pool Photo Location: Woonona Ocean Pool Photo Description: This shot was t..
Photo Title: Through the Tundra Photo Location: Maddens Plains Photo Description: This shot wa..
Photo Location: Werri Beach, Gerringong Photo Description: This beautiful beach is Werri beach at..
Photo Title: Fairy Lights Photo Location: Sublime Point Lookout, Bulli Tops Photo Description:..
Photo Location: Sea Cliff Bridge NSW Photo Description: This is an aerial view of Sea Cliff Bridg..
Photo Title: Yesterday Photo Location: Woonona Ocean Pool Photo Description: On the last day o..
Photo Location: Kiama N.S.W Photo Description: This photograph is of the coastal township of Kiam..
Photo Location: Port Kembla Beach Photo Description: This shot was captured from above Hill 60 at..
Photo Location: North Beach, Wollongong Photo Description: This photo is over looking North Wollo..
Photo Title: Wollongong Tunnel Photo Location: Wollongong Photo Description: This shot was cap..
Photo Location: Sea Cliff Bridge, Australia Photo Description: This shot was taken from above Sea..
Photo Title: The Greatest Storm Photo Location: Bald Hill, Stanwell Tops Photo Description: Th..
Photo Location: Thirroul Beach Photo Description: Thirroul beach in the Northern Illawarra is one..
Photo Location: Killalea Beach (The Farm) Photo Description: This is Killalea beach in the Shellh..
Photo Location: Jamberoo Road, Jamberoo Photo Description: This aerial image was captured over Ja..
Photo Title: Alpine Illawarra Photo Location: Maddens Plains Photo Description: This shot was ..
Photo Location: Windang NSW Photo Description: This shot is over looking the beautiful sea and la..
Photo Location: Windang Bridge, The Lake Photo Description: This shot was captured above Windang ..
Photo Title: Pink and Blue Photo Location: Little Austinmer Beach Photo Description: This phot..
Photo Location: Port Kembla Outer Harbour Photo Description: This view includes Oilies Beach in t..
Photo Location: Towradgi Point Photo Description: In this shot we have Towradgi point with the To..
Photo Location: Bomb Beach, Kiama, Illawarra Photo Description: This photo was captured above Bom..
Photo Title: Summer Time Photo Location: Thirroul Beach Photo Description: This is a classic s..
Photo Location: Windang Island NSW Photo Description: This shot was taken looking eastward over t..
Photo Location: South Wollongong beach Photo Description: This photograph includes the view of Ci..
Photo Location: Warilla Beach and Lake Illawarra Photo Description: This shot is over looking War..
Photo Location: Wollongong N.S.W Photo Description: This is the city of Wollongong as viewed from..
Photo Location: Wollongong and Northern Suburbs. 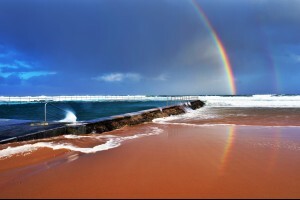 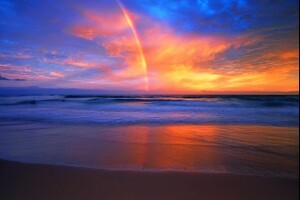 Photo Description: In the foreground of this pho..
Photo Title: Rainbow into the Sunset Photo Location: Thirroul Beach Photo Description: This be..
Photo Title: Mystic Gorge Photo Location: Mystery Falls Photo Description: This shot was taken..
Photo Title: Lone Fisherman Photo Location: Little Austinmer Beach Photo Description: This pho..
Photo Location: Coledale Beach NSW Photo Description: This shot was captured over looking the bea..
Photo Location: Minnamurra River New South Wales Photo Description: The Minnamurra is the border ..
Photo Location: Cathedral Rocks, Kiama Photo Description: This shot was captured from the air loo..
Photo Location: City Beach, Wollongong Photo Description: This shot was taken directly above City..
Photo Location: Fairy Meadow Beach Photo Description: This beach is Fairy Meadow just north of Wo..
Photo Title - Tree of Life Photo Location - Illawarra escarpment Photo Description - I was..
Photo Location: Kiama Coast NSW Photo Description: This shot takes in the coastline of Kiama with..
Photo Location: Surf Beach, Kiama Photo Description: This shot was taken from above Kiama taking ..
Photo Title: The Chilby Lane Photo Location: Chilby Lane, Bulli Photo Description: This lanewa..
Photo Location: Windang Bridge, Australia Photo Description: This shot was captured over looking ..
Photo Title: Beach Culture Photo Location: Corrimal Beach Photo Description: This shot was tak..
Photo Title: Stanwell Park Beach Photo Location: Stanwell Park Beach Photo Description: This i..
Photo Title: Peaceful Waters Photo Location: Madden's Falls, Darkes Forest Photo Descripti..
Photo Location: Elliot Lake, Warilla Photo Description: In the foreground of this photograph is L..
Photo Location: Five Islands, Port Kembla Photo Description: Here we can see three of the five is..
Photo Title: Awesome and Sublime Photo Location: Sublime Point Lookout, Bulli Tops Photo Descr..
Photo Location: Waniora Point Photo Description: This aerial photograph is of Waniora Point at Bu..
Photo Location: The Minnamurra River, Australia Photo Description: This is a look at the Minnamur..
Photo Location: The Minnamurra River NSW Photo Description: The Minnamurra is the border between ..
Photo Title: The Heaven's Photo Location: Sublime Point, Bulli Tops Photo Description: Thi..
Photo Location: Woonona Beach Photo Description: Woonona beach is located in the northern Wollong..
Photo Title - Eerie Evening Photo Location - Bulli ocean pool, Bulli beach Photo Des..
Photo Title: Moods of the Illawarra Photo Location: Little Austinmer Photo Description: This i..
Photo Location: Sandon Point, Bulli Photo Description: This shot was captured over looking the be..
Photo Location: Bulli Beach, Wollongong Photo Description: This is Bulli beach in the northern su..
Photo Title: Gold Glory Photo Location: Coalcliff Beach Photo Description: This is Coalcliff b..
Photo Location: Port Kembla Coal Stack Photo Description: This shot was captured from above the c..
Photo Title: Dreamy Dusk Photo Location: Little Austinmer Photo Description: This sunset was b..
Photo Location: Austi Beach NSW Photo Description: In this shot we are looking down at Austinmer ..
Photo Title: Sunset at Sea Cliff Photo Location: Sea Cliff Bridge, Northern Illawarra NSW Phot..
Photo Title: The Black Rose Photo Location: Bulli Tops Photo Description: This shot was taken ..
Photo Title - Rainbow Spectacular Photo Location - Sandon Point, Bulli Photo Description - Swe..
Photo Title: The Moon and Mars Photo Location: Corrimal Photo Description: This shot was taken..
Photo Location: Port Kembla Beach NSW Photo Description: This shot was taken from above Port Kemb..
Photo Location: Big Island Seals Photo Description: This shot was captured from directly above Bi..
Photo Title: Madden's Farm Photo Location: Madden's Plains Photo Description: This sho..
Photo Location: Easts Beach Kiama Photo Description: This shot was captured over looking Easts be..
Photo Location: Jamberoo Village NSW Photo Description: This aerial image was taken directly abov..
Photo Title: Bursting Colours Photo Location: Bulli Ocean Pool, Wollongong Photo Description: ..
Photo Location: The Boneyard, Kiama NSW Photo Description: This little cove is known as The Boney..
Photo Title: Cove of Drama Photo Location: Coledale Beach Photo Description: This shot was tak..
Photo Title: Beautiful Illawarra Photo Location: Bald Hill, Stanwell Tops Photo Description: S..
Photo Location: The Northern Illawarra Coastline Photo Description: This photograph was taken abo..
Photo Title: Summer Living Photo Location: Coalcliff Ocean Pool Photo Description: This photo ..
Photo Location: Thirroul Beach, Illawarra, Australia Photo Description: This is Thirroul beach in..
Photo Title: Burning Lily's Photo Location: Sublime Point, Bulli Tops Photo Description: T..
Photo Title: Broker's in the Universe Photo Location: Corrimal Photo Description: This sho..
Photo Location: Gooseberry and Hooka Islands, Lake Illawarra Photo Description: These two islands..
Photo Location: Bevans Island, Lake Illawarra Photo Description: This stunning view of Lake Illaw..
Photo Location: Shellharbour Beach Photo Description: In the foreground of this shot is Barrack P..
Photo Location: Otford Coastline Photo Description: This shot was taken from above Bulgo beach at..
Photo Title: Austinmer Dream Photo Location: Austinmer Beach Photo Description: This shot was ..
Photo Title - Austi beach Photo Location - Austinmer Beach Photo Description - This is Austinm..
Photo Location: Outer Harbour, Port Kembla Photo Description: This shot was taken over the Port K..
Photo Title - Drop into the Jungle Photo Location - Kellys Falls, Helensburgh Photo Descriptio..
Photo Location: Warilla and Windang Photo Description: This photograph was taken above Warilla ov..
Photo Title: Broken Earth Photo Location: The Gorge, Northern Illawarra Photo Description: I c..
Photo Title: The Painting Photo Location: Bald Hill, Stanwell Tops Photo Description: This sho..
Photo Location: Gerringong Coast Photo Description: I captured this gyrocopter as it flew near by..
Photo Location: Sandon Point Beach Photo Description: This beautiful northern Wollongong beach is..
Photo Location: Sea Cliff Bridge, Northern Illawarra Photo Description: This shot was captured ab..
Photo Title: Out to Sea Photo Location: Sublime Point, Bulli Tops Photo Description: This imag..
Photo Location: Big Island, Port Kembla Photo Description: Ever wondered what it looks like on Bi..
Photo Location: North Wollongong Beach Photo Description: This shot was taken from above North Wo..
Photo Title: Down Below Photo Location: Sea Cliff Bridge, Coalcliff, Clifton Photo Description..
Photo Location: Blowhole Point, Kiama Photo Description: This photograph includes Blowhole Point ..
Photo Title: Kellys Delight Photo Location: Kellys Falls, Helensburgh Photo Description: This ..
Photo Location: City Beach, Wollongong NSW Photo Description: This shot was captured directly ove..
Photo Location: Windang Beach Photo Description: This shot was taken looking southward over Winda..
Photo Title: Balancing Rocks Photo Location: Balancing Rocks, Illawarra Escarpment Photo Descr..
Photo Title: Sharkies Photo Location: Sharkies Beach, Coledale Photo Description: This photogr..
Photo Location: Austinmer Headlands Photo Description: This is an aerial view of Headlands at Aus..
Photo Title: Elegant Canyon Photo Location: Canyon Falls Photo Description: This shot was capt..
Photo Location: Jetgo Albion Park Photo Description: This shot was captured at the Albion Park ai..
Photo Title: Chilby Lane Photo Location: Chilby Lane, Bulli Photo Description: This laneway in..
Photo Title: Dragon Clouds Photo Location: Sublime Point, Bulli Tops Photo Description: This i..
Photo Location: Windang Bridge, Lake Illawarra NSW Photo Description: This shot was captured abov..
Photo Location: Coledale Ocean Pool Photo Description: This shot was taken directly above the Col..
Photo Location: Little Lake NSW Photo Description: In the foreground of this photograph is Little..
Photo Title: A Sublime View Photo Location: Sublime Point, Bulli Tops Photo Description: It is..
Photo Title: Coast with the Most Photo Location: Illawarra Escarpment, Northern Illawarra Phot..
Photo Location: Stanwell Park Beach Photo Description: Surfers waiting to catch a wave at Stanwel..
Photo Location: Windang Beach NSW Photo Description: This shot was taken from the southern end of..
Photo Title: Mountain's and the Sea Photo Location: Stanwell Park Beach Photo Description:..
Photo Title: Old Corrimal Town Photo Location: Corrimal Photo Description: This is my hometown..
Photo Title: Good Old Corrimal Photo Location: Broker's Nose, Corrimal Photo Description: ..
Photo Location: Werrong Beach, Royal National Park Photo Description: This is Werrong beach in th..
Photo Location: Austinmer Beach Pool Photo Description: In this shot is the Austinmer ocean pool ..
Photo Title: Coastal Reflections Photo Location: Little Austinmer Beach Photo Description: The..
Photo Title: A Storm Goes By Photo Location: Stanwell Cave, Northern Illawarra Photo Descripti..
Photo Location: Sandon Point, Bulli Photo Description: This is an aerial shot of Sandon Point at ..
Photo Location: Thirroul Beach,NSW Australia Photo Description: This is an aerial view of Th..
Photo Title: Corner Colour Photo Location: Sublime Point, Bulli Tops Photo Description: This b..
Photo Location: Lake Illawarra, Shellharbour Photo Description: This shot is looking across Lake ..
Photo Title: A Little Gem Photo Location: Maddens Falls, Darkes Forest Photo Description: I ha..
Photo Location: Mystics, Minnamurra Photo Description: This photo was taken at the mouth of the M..
Photo Location: Flagstaff Hill, Wollongong NSW Photo Description: This photograph is a classic sh..
Photo Title: Bulli Fog Photo Location: Bulli Tops Photo Description: This is a very typical sc..
Photo Location: Windang Beach, Illawarra Photo Description: This is Windang beach in the so..
Photo Location: Collins Rock, Woonona Photo Description: This is Bulli beach to the right with Wo..
Photo Location: Werrong Beach Photo Description: This is an aerial view of Werrong Beach in the R..
Photo Location: Port Kembla Beach Photo Description: This shot was captured above the south end o..
Photo Location: Port Kembla Beach Photo Description: This shot was captured over Port Kembla beac..
Photo Location: Warrawong Australia Photo Description: This beautiful view was captured above War..
Photo Location: Fairy Meadow Beach Photo Description: This beautiful stretch of beach is Fairy Me..
Photo Location: Killalea Beach, The Farm Photo Description: This is Killalea beach and is known l..
Photo Location: Lake Illawarra Entrance Photo Description: This photograph includes the view of t..
Photo Location: Hole in the Wall Photo Description: This shot was captured in the Northern Illawa..
Photo Location: Bellambi Point Photo Description: This point here is Bellambi Point in the north ..
Photo Location: Bulgo Beach, Otford Photo Description: This shot was captured over looking the be..
Photo Location: Thirroul Beach, NSW Photo Description: This is an aerial view of Thirroul Beach w..
Photo Location: Little Lake, Warilla Photo Description: In the foreground of this photograph is L..
Photo Location: Windang Beach, Wollongong Photo Description: This aerial photograph was taken fro..
Photo Location: Scarborough Beach, Northern Illawarra Photo Description: This beautiful beach is ..
Photo Location: Thirroul Pool Photo Description: Thirroul beach in the Northern Illawarra is one ..
Photo Location: Fisherman's Beach Photo Description: This shot has Fisherman's beach in t..
Photo Location: Wollongong Golf Course NSW Photo Description: This shot was taken over looking th..
Photo Location: East Corrimal Photo Description: This is East Corrimal beach in the northern subu..
Photo Location: Coalcliff Ocean Pool Photo Description: This shot was captured over looking the o..
Photo Location: Port Kembla, New South Wales Photo Description: This view is over looking the sub..
Photo Location: East Corrimal Beach, NSW Photo Description: This photo was taken at East Corrimal..
Photo Location: Windang Island, Lake Illawarra NSW Photo Description: In the foreground and left ..
Photo Location: Coomaditchie Lagoon Photo Description: The lagoon just left of centre is Coomadit..
Photo Location: Warilla Beach, Mount Warrigal Photo Description: This shot was captured looking w..
Photo Location: Mystics, Shellharbour Photo Description: This photo was taken at the mouth of the..
Photo Location: Lake Illawarra, Windang Bridge Photo Description: The bridge in this photo is the..
Photo Location: West Albion Park Photo Description: This shot takes in the stunning view west of ..
Photo Location: Barrack Point Photo Description: This shot is directly over looking Warilla, Wari..
Photo Location: Blowhole Point, Kiama NSW Photo Description: This shot was captured looking from ..
Photo Location: Coledale NSW, Australia Photo Description: This photo was taken above the main ro..
Photo Location: Wollongong Photo Description: This photograph is overlooking the seaside city of ..
Photo Location: Mount Keira Road Photo Description: This is an aerial view of Mount Keira road an..
Photo Title: A Morning Row Photo Location: Belmore Basin, Wollongong Harbour Photo Description..
Photo Location: Sea Cliff Bridge Photo Description: This photograph was taken in the northern Ill..
Photo Location: Shellharbour Harbour Photo Description: This photograph includes Shellharbour Har..
Photo Title: Wollongong Dusk Photo Location: Wollongong Harbour Photo Description: This shot w..
Photo Location: Wollongong Coastline Photo Description: This shot takes in the lovely view of the..
Photo Title: Wollongong by Night Photo Location: Wollongong Continental Pool Photo Description..
Photo Location: North Wollongong Photo Description: This shot was captured above North Wollongong..
Photo Location: Port Beach Photo Description: This shot was captured over looking Port Kembla bea..
Photo Title - Sea Monster Photo Location - Wollongong Break Water Photo Description - This is ..
Photo Title: Saturday Morning Photo Location: Belmore Basin, Wollongong Harbour Photo Descript..
Photo Location: Wollongong City, NSW Photo Description: This shot was captured over the central b..
Photo Title: Reflecting Wollongong Photo Location: The Old Lighthouse, Wollongong Photo Descri..
Photo Location: Windang Beach, Illlawarra Photo Description: This view takes in the stunning scen..
Photo Title: To the beach Photo Location: City Beach, Wollongong Photo Description: This is Ci..
Photo Title: Walks on the Beach Photo Location: City Beach, Wollongong Photo Description: This..
Photo Location: Towradgi Point, NSW Photo Description: This beautiful view was captured from the ..
Photo Location: Otford Beach Photo Description: At the bottom of this large hill is Otford beach ..
Photo Title: The Red Bridge Photo Location: Wollongong Botanic Gardens Photo Description: This..
Photo Location: Bombo Beach Coastline Photo Description: This photograph was taken looking north ..
Photo Title: A Golden Storm Photo Location: Wollongong Harbour, Wollongong Photo Description: ..
Photo Location: Rangoon Island Photo Description: This is an aerial view of the top of Rangoon Is..
Photo Title: City Beach Photo Location: City Beach, Wollongong Photo Description: This iconic ..
Photo Location: Shellharbour N.S.W Photo Description: This photograph is over looking some of the..
Photo Location: Windang, Lake Illawarra Photo Description: This photograph includes Windang Islan..
Photo Title: Between the Mountains and the Sea Photo Location: Wollongong Photo Description: W..
Photo Location: City Beach - South Beach Photo Description: This shot was taken above City beach ..
Photo Location: Harbour, Shellharbour Photo Description: This photograph is over looking Shellhar..
Photo Location: Mystics Beach, Shellharbour Photo Description: This shot was taken of the beautif..
Photo Title: Impending Storm Photo Location: Wollongong Photo Description: This incredible imp..
Photo Location: Kiama Australia Photo Description: This shot was taken looking back towards the s..
Photo Title: A Wollongong Goodbye Photo Location: Wollongong Harbour Photo Description: This s..
Photo Location: Killalea NSW Photo Description: This beach is Killalea beach and it is also known..
Photo Title: The Illawarra Photo Location: Wollongong CBD Photo Description: This shot was tak..
Photo Location: The Lake Photo Description: This shot was taken from directly above the Port Kemb..
Photo Title: Just Wollongong Photo Location: City Beach, Wollongong Photo Description: This is..
Photo Location: Minnamurra River, Mystics Photo Description: This stunning scenery is found at th..
Photo Title: Double Delight Photo Location: Robertson's Knoll Photo Description: This shot..
Photo Location: Windang, Lake Illawarra, Wollongong Photo Description: This shot takes in the vie..
Photo Title: One Island Photo Location: Pig Island/Bass Islet, Wollongong Photo Description: T..
Photo Title: Oh Wow Photo Location: Wollongong Harbour Photo Description: This shot was captur..
Photo Location: Port Kembla Harbour NSW Photo Description: This shot was taken looking over Port ..
Photo Location: Shellharbour Harbour, Australia Photo Description: This is Shellharbour harbour a..
Photo Title: Old Wollongong Days Photo Location: City Beach, Wollongong Photo Description: Thi..
Photo Location: Minnamurra River NSW, Illawarra Photo Description: This shot captures the Minnamu..
Photo Location: City Beach NSW, Australia Photo Description: This shot was taken directly above C..
Photo Location: The Boneyard Photo Description: This little cove is known as the Boneyard or Bone..
Photo Title: Spring in Wollongong Photo Location: Belmore Basin, Wollongong Harbour Photo Desc..
Photo Location: Wollongong City Photo Description: In the foreground of this photograph is Wollon..
Photo Title: Spring has Sprung Photo Location: City Beach, Wollongong Photo Description: This ..
Photo Title: A Stormy Day Photo Location: City Beach, Wollongong Photo Description: This iconi..
Photo Location: Yallah NSW Photo Description: This shot was taken above the Yallah area looking w..
Photo Location: Cathedral Rocks, Kiama, Illawarra Photo Description: This shot is over looking Ca..
Photo Location: Port Kembla Harbour, Illawarra, NSW Photo Description: This shot was taken off a ..
Photo Location: Wollongong City Australia Photo Description: This shot is looking directly down a..
Photo Location: Kiama and Saddleback Mountain Photo Description: This photograph is of the coasta..
Photo Title: A Local Photo Location: Belmore Basin, Wollongong Harbour Photo Description: This..
Photo Location: Windang - Warilla Photo Description: This photograph is overlooking Warilla, Wind..
Photo Title: The Fancy Fantail Photo Location: The Breakwater, Wollongong Harbour Photo Descri..
Photo Location: Sandon Point Beach NSW Photo Description: This beautiful northern Wollongong beac..
Photo Location: Scarborough Cemetery Photo Description: In this photo we have the beautiful Scarb..
Photo Location: Werri Lagoon, Gerringong Photo Description: This photo was taken above the northe..
Photo Title: Steel City Photo Location: City Beach, Wollongong Photo Description: This iconic ..
Photo Location: Flagstaff Hill, Wollongong, Illawarra Photo Description: This shot was taken over..
Photo Location: The Nan Tien Temple Photo Description: In the foreground of this shot is Nan Tien..
Photo Location: Port Kembla, Outer Harbour Photo Description: This show was taken over looking th..
Photo Location: Hill 60, Port Kembla Photo Description: This shot was taken from above Hill..
Photo Location: The Minnamurra River, NSW Photo Description: The Minnamurra is the border between..
Photo Location: Haywards Bay Photo Description: This shot was taken over looking the western side..
Photo Location: Cathedral Rocks, Jones Beach Photo Description: These unique rock formations are ..
Photo Location: Beaton Park, Wollongong Photo Description: This photo was taken from above Wollon..
Photo Location: Minnamurra River NSW Photo Description: The Minnamurra is the border between Shel..
Photo Location: Lake Illawarra, Windang Island Photo Description: This photograph includes the vi..
Photo Location: Minnamurra River, Australia Photo Description: This shot was captured over lookin..
Photo Location: North Beach, Shellharbour Photo Description: This shot was taken directly over Sh..
Photo Location: Kendalls Beach, Kiama Photo Description: This shot was captured over looking Kend..
Photo Location: Belmore Basin, Wollongong Harbour Photo Description: This shot was taken from the..
Photo Location: Port Beach NSW Photo Description: This shot was taken looking directly down on Po..
Photo Location: Albion Park Airport Photo Description: This shot was captured looking northward a..
Photo Location: Blowhole Point, Kiama Australia Photo Description: This shot was captured looking..
Photo Location: Shellharbour Ocean Pool Photo Description: This photo was captured looking down a..
Photo Location: Stack Island Minnamurra Photo Description: This is Rangoon Island otherwise known..
Photo Location: Sharkies Beach, NSW Photo Description: This shot was captured over looking Sharki..
Photo Location: Crown Street, Wollongong Photo Description: This photograph is over looking the e..
Photo Location: The Jamberoo Village Photo Description: This aerial image was taken directly abov..
Photo Location: Minnamurra River, Kiama Downs Photo Description: This aerial photograph is over l..
Photo Location: City Beach, Wollongong Photo Description: This photograph was taken over looking ..
Photo Location: Port Kembla Outer Harbour, NSW Photo Description: This is a look at a section of ..
Photo Location: City Beach, Wollongong City Photo Description: This shot was captured over lookin..
Photo Location: Albion Park Regional Airport Photo Description: This shot was captured looking we..
Photo Location: Wollongong Breakwall Photo Description: This shot is looking down at Wollongong H..
Photo Location: Wollongong Harbour Photo Description: An aerial view of the yachts on Wollongong ..
Photo Location: The Lake NSW Photo Description: This photo was captured above Lake Illawarra look..
Photo Location: Tom Thumb lagoon, Port Kembla Photo Description: This photograph is over looking ..
Photo Location: The Minnamurra River Photo Description: In the foreground of this photograph is t..
Photo Location: Shell Cove Marina Photo Description: This shot was taken looking over the new dev..
Photo Location: Coledale Coastline Photo Description: This shot was captured over looking Coledal..
Photo Location: Barrack Point, NSW Photo Description: This shot was taken above Barrack Point in ..
Photo Location: Kiama Coastal Walk Photo Description: I captured this gyrocopter as it flew near ..
Photo Location: Swamp Road, Jamberoo Photo Description: This aerial image was captured near the M..
Photo Location: Flagstaff Hill, Wollongong Australia Photo Description: In the centre of this sho..
Photo Location: Port Kembla Beach, Australia Photo Description: This beautiful strip of coastline..
Photo Title: Radiance of the Seas Photo Location: Port Kembla Photo Description: This aerial p..
Photo Location: Austinmer Ocean Pool Photo Description: In this shot we have Austinmer ocean pool..
Photo Location: North Wollongong Beach Photo Description: This shot takes in the beautiful view o..
Photo Location: Hill 60, Port Kembla Photo Description: In this shot we have Hill 60 at Port Kemb..
Photo Location: Wollongong City CBD Photo Description: This shot was captured looking over the ce..
Photo Location: Gerringong NSW Photo Description: This beautiful beach is Werri beach at Gerringo..
Photo Location: Port Kembla, Wave Generator Photo Description: This shot was taken from above the..
Photo Location: City Beach, South Beach Photo Description: This shot was taken looking over City ..
Photo Location: Windang, Australia Photo Description: This shot was caputred over looking Windang..
Photo Location: The Northern Suburbs Photo Description: This photograph was taken above Woonona l..
Photo Location: Koonawarra, Dapto Photo Description: This shot was captured above the Dapto area ..
Photo Location: Bellambi Beach NSW Photo Description: This photo was taken looking over Bellambi ..
Photo Location: Flagstaff Hill, Illawarra Photo Description: This shot has Flagstaff Hill of Woll..
Photo Location: Woonona, NSW Australia Photo Description: This photo was taken looking down at Wo..
Photo Location: Fisherman's Beach, NSW Photo Description: This shot has Fisherman's beach..
Photo Location: North Beach, Shellharbour NSW Photo Description: A clear sunny day helped create ..
Photo Location: Robertson Village Photo Description: This shot was taken from above Robertson in ..
Photo Location: Kendalls Beach and Easts Beach Photo Description: In the foreground of this shot ..
Photo Location: Austinmer Beaches Photo Description: This photo was taken from west to east looki..
Photo Location: Oak Flats Interchange Photo Description: I found the Oak Flats interchange quite ..
Photo Location: Bombo Quarry, Kiama NSW Photo Description: This unusual landscape is that of the ..
Photo Location: Nan Tien Temple, Berkeley Photo Description: This shot was taken from above Nan T..
Photo Location: Port Kembla Beach Photo Description: This shot was captured above Port Kembla bea..
Photo Location: Coledale Beach NSW Photo Description: This shot was captured above Coledale in th..
Photo Location: Bombo Beach, New South Wales Photo Description: This photograph was taken looking..
Photo Location: Wollongong City NSW Australia Photo Description: This shot was captured above the..
Photo Location: Easts Beach NSW Photo Description: This shot was captured over looking Easts beac..
Photo Location: Windang, Port Kembla Beach Photo Description: This stunning stretch of coast is W..
Photo Location: Flagstaff Hill at Wollongong NSW Photo Description: This shot was taken above Wol..
Photo Location: Bellambi Photo Description: This shot is of the seaside town of Bellambi in the n..
Photo Location: Bulli Beach NSW Photo Description: This shot was taken from west to east looking ..
Photo Location: Knights Hill Photo Description: This shot was taken from Knights Hill on the edge..
Photo Location: Kiama Coast Walk Photo Description: This shot was captured looking over the rolli..
Photo Location: Surf Beach at Kiama Photo Description: This shot was taken from the east looking ..
Photo Location: Bulli Point Photo Description: This is Bulli Point looking down on the headland. 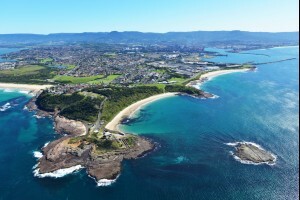 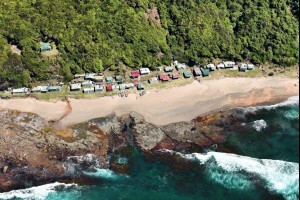 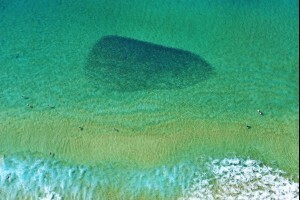 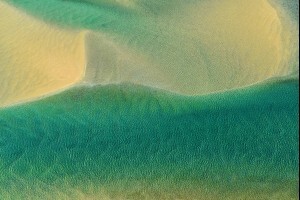 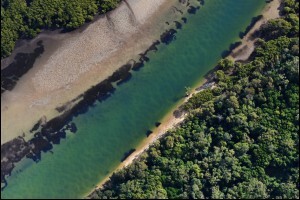 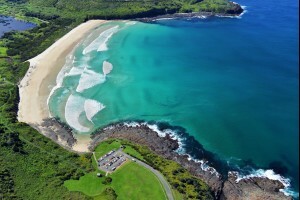 ..
Photo Location: Shellharbour South Beach Photo Description: This image was captured from the air ..
Photo Location: Fairy Meadow Photo Description: This beach is Fairy Meadow just north of Wollongo..
Photo Location: Jamberoo Valley, Australia Photo Description: This shot was taken from above Kiam..
Photo Location: Wollongong Lighthouse Photo Description: This shot was taken from the air over Wo..
Photo Location: Kiama Fishing Harbour Photo Description: This shot was taken over the beautiful K..
Photo Location: Port Kembla Austraila Photo Description: This shot takes a close up view of a lar..
Photo Location: Wollongong, Australia Photo Description: This photograph is directly over looking..
Photo Location: Port Kembla Harbour Photo Description: A massive cargo ship named the Eukor is be..
Photo Location: Port Kembla Steel Works Photo Description: This photograph includes Port Kembla h..
Photo Location: Scarborough, Northern Illawarra Photo Description: This shot was taken above Scar..
Photo Location: Blowhole Point, Kiama Photo Description: This shot was captured looking from east..
Photo Location: The Minnamurra River, Kiama Photo Description: This shot was taken from above Riv..
Photo Location: Boneyard Beach, Kiama, Illawarra Photo Description: This beautiful little cove is..
Photo Location: Shellharbour Harbour NSW Photo Description: This shot takes in a wide view of the..
Photo Location: Thirroul Beach, Australia Photo Description: This is Thirroul beach in the Northe..
Photo Location: Warilla Beach, Australia Photo Description: This shot was captured looking east o..
Photo Location: Mystics and Minnamurra Photo Description: The Minnamurra is the border between Sh..
Photo Location: Collins Rock, Woonona NSW Photo Description: This photo was taken looking over Wo..
Photo Location: Kiama NSW Photo Description: This shot was taken from above Kiama taking in the a..
Photo Location: Kiama Ocean Photo Description: This is a simple view of the ocean taken from the ..
Photo Location: Sharkies Beach, Coledale Photo Description: This is the beautiful Northern Illawa..
Photo Location: Minnamurra River Mouth Photo Description: This photo was taken at the mouth of th..
Photo Location: Mount Kembla, Illawarra Photo Description: This shot was captured above Mount Kem..
Photo Location: Gerringong Headland Photo Description: This photo was taken over the southern end..
Photo Location: Albion Park, Lake Illawarra Photo Description: This shot was taken from above the..
Photo Location: Perkins Beach, Port Kembla Photo Description: This shot was captured over looking..
Photo Location: Boneyard Beach, Kiama Photo Description: This aerial view takes in the view of th..
Photo Location: Waniora Point, Bulli Photo Description: Looking down here we have the northern en..
Photo Location: Crown Street Mall, Wollongong Photo Description: This photograph is over looking ..
Photo Location: Waniora Point, Bulli NSW Photo Description: This image was captured from the sky ..
Photo Location: Werri Beach Gyrocopter Photo Description: This beautiful beach is Werri beach at ..
Photo Location: City Beach Wollongong, Illawarra Photo Description: This is City beach at Wollong..
Photo Location: Kiama Coastal Cliffs Photo Description: This shot was captured looking over the r..
Photo Location: Kendalls Beach, New South Wales Photo Description: This shot was captured over lo..
Photo Location: Werri Beach, NSW Photo Description: This beautiful beach is Werri beach at Gerrin..
Photo Title: Mysterious Charm Photo Location: Lake Heights, Lake Illawarra Photo Description: ..
Photo Location: Gyrocopter Gerringong Photo Description: I captured this gyrocopter as it flew ne..
Photo Title: The Greatest Speactacle Photo Location: Wentworth Street, Port Kembla Photo Descr..
Photo Location: Shellharbour Village Australia Photo Description: This photograph is over looking..
Photo Title: Calm before the Storm Photo Location: Lake Heights, Lake Illawarra Photo Descript..
Photo Location: McCauley's Beach, Thirroul Photo Description: This photo was taken at McCaule..
Photo Location: Coledale Beach NSW, Australia Photo Description: This shot was captured over look..
Photo Title - The Last Country Wollongong Photo Location - Wollongong Photo Description - Ther..
Photo Title: The Runway Photo Location: Primbee Jetty, Lake Illawarra Photo Description: This ..
Photo Title: Out of this World Photo Location: Lake Illawarra Photo Description: Incredible cl..
Photo Title: The Abstract Bridge Photo Location: Windang Bridge, Windang, Lake Illawarra Photo..
Photo Title: Beautifully Uneven Photo Location: Wollongong Photo Description: This stunning tr..
Photo Title: The Last Heron Photo Location: Lake Illawarra Photo Description: A spectacular su..
Photo Title: Tropical Windang Photo Location: Windang, Lake Illawarra Photo Description: The w..
Photo Title: The Golden Heron Photo Location: Primbee, Lake Illawarra Photo Description: A gol..
Photo Title: Light Storm Photo Location: Primbee Jetty, Lake Illawarra Photo Description: This..
Photo Title: The Antique Photo Location: Wollongong Photo Description: I love the old world an..
Photo Title: Kembla Cascade Photo Location: Kembla Falls, Mount Kembla Photo Description: This..
Photo Title: The Sunset Tree Photo Location: The Windang Tree, Lake Illawarra Photo Descriptio..
Photo Title - Jacaranda Tree Photo Location - Mount Kembla Photo Description - This beautiful ..
Photo Title - Mountain Light Photo Location - Bong Bong Mountain, West Dapto Photo Description..
Photo Title: Calming Photo Location: Lake Heights, Lake Illawarra Photo Description: This shot..
Photo Title: What a Place Photo Location: Primbee Jetty, Lake Illawarra Photo Description: As ..
Photo Title: An Old Fishing Town Photo Location: Windang, Lake Illawarra Photo Description: Th..
Photo Title: Sunset Views Photo Location: Primbee, Lake Illawarra Photo Description: Lake Illa..
Photo Title: The Ghost House Photo Location: Windy Gully, Mount Kembla Photo Description: This..
Photo Title: Sunset Divine Photo Location: The Windang Tree, Lake Illawarra Photo Description:..
Photo Title: Peeking Light Photo Location: Primbee, Lake Illawarra Photo Description: A specta..
Photo Title: The Golden Pelican Photo Location: Primbee, Lake Illawarra Photo Description: Thi..
Photo Title: Days of Gloom Photo Location: Port Kembla Steel Works Photo Description: Being an..
Photo Title: The Last Night Photo Location: Port Kembla Stack Photo Description: This was the ..
Photo Title - Mount Kembla Hotel Photo Location - Mount Kembla Hotel Photo Description - This ..
Photo Title: Layers of Gold Photo Location: Primbee, Lake Illawarra Photo Description: A spect..
Photo Title: Golden Afternoon Light Photo Location: Primbee, Lake Illawarra Photo Description:..
Photo Title - A Horse and the Hills Photo Location - Yallah Photo Description - A beautiful wh..
Photo Title: Sunset Banks Photo Location: Lake Illawarra, Windang Photo Description: This love..
Photo Title: Queen Busan Photo Location: Port Kembla Harbour Photo Description: This shot was ..
Photo Title: Autumn Orange Photo Location: Windang, Lake Illawarra Photo Description: This sho..
Photo Title: Jetty Blue Photo Location: Lake Illawarra Photo Description: A cold June sunset w..
Photo Location: Windang Beach and Lake Illawarra Photo Description: This photograph is over looki..
Photo Location: Windang Beach, Australia Photo Description: This beautiful strip of coastline is ..
Photo Location: Gerringong Gyrocopter Photo Description: I captured this gyrocopter as it flew ne..
Photo Location: Shellharbour City Photo Description: This photograph includes Shellharbour harbou..
Photo Location: Sandon Point Surf Club Photo Description: This beautiful northern Wollongong beac..
Photo Location: Austi Headlands Photo Description: This beautiful location is Austinmer Headlands..
Photo Location: Rangoon Island, New South Wales Photo Description: This shot was taken from above..
Photo Location: Wollongong Lighthouse, Illawarra Photo Description: This photo was taken over loo..
Photo Title: The Farm Photo Location: Killalea Beach, Shell Cove Photo Description: A perfect ..